Susan Ruff, Administrative Law Judge (ALJ), Office of Administrative Hearings (OAH), heard this matter on November 6, 7, 8, 13, 14, 15, 26, 27, 28 and 29, 2012, in Temecula, California. Tania Whiteleather, Esq., represented Student. Student’s mother was present during most of the hearing. Student was not present. Student’s mother holds a power of attorney to represent Student (who is over 18 years old) in educational matters. Student’s initial request for a due process hearing was filed on January 31, 2012, in OAH case number 2012020005. On February 13, 2012, Student filed a second case, OAH case number 2012020458. On March 15, 2012, OAH granted the parties’ stipulated request to consolidate the two cases and to continue the hearing dates. OAH named case number 2012020458 as the primary case for determining the 45-day timeline for issuance of a decision. On June 5, 2012, OAH consolidated the two Student-filed cases with a Districtfiled case, OAH case number 2012050526. The District subsequently withdrew case number 2012050526 on August 29, 2012. On September 7, 2012, the District filed case number 2012090247. That case was consolidated with the two Student-filed cases on September 24, 2012. Case number 2012020458 remained the primary case for determining the 45-day timeline for issuance of a decision. 1 To maintain a clear record, Student’s written closing argument was marked as Exhibit UU, and the District’s written closing argument was marked as Exhibit 121. On December 10, 2012, Student made a motion to reopen the record to permit the filing of a declaration and attachments. On December 12, 2012, the District filed a response to the motion in which it did not object to Student’s motion, but requested that a declaration from District’s counsel and attachments also be added to the evidentiary record. Both requests were granted on December 20, 2012. Student’s moving papers, declaration and attachments were entered into evidence as Exhibit TT. The District’s responsive papers, declaration and attachments were entered into evidence as Exhibit 120. The record was then closed once more. a) Did the District fail to comply with state and federal special education law when it failed to provide Student with an independent educational evaluation (IEE) after her oral request for an IEE in August 2011 or her written request on September 19, 2011, or when it failed to file a request for a due process hearing to prove its assessment was appropriate? b) Did the District deny Student a free appropriate public education (FAPE) when it failed to fully and timely assess Student in the spring of 2011? 2 Student’s due process hearing requests also alleged that the District denied Student her rights under the Americans with Disabilities Act, Section 504 of the Rehabilitation Act and state civil rights laws. Those claims were dismissed during the telephonic prehearing conference because they are outside the jurisdiction of OAH in a due process proceeding. d) Did the District’s IEP dated August 24, 2012, offer Student a FAPE in the least restrictive environment? This is a consolidated case. It involves a young woman with a learning disability who attended a non-public school (NPS) for two years pursuant to settlement agreements with the District. In May 2011, near the end of those two years, the District assessed her and determined she was capable of gaining educational benefit at a public school with specialized academic instruction and other supports. In August 2011, the District made an IEP offer for placement in the public high school in a special day class for part of the day and general education classes for the rest. Although Student’s mother disagreed with the proposal, she signed the IEP in October 2011, permitting the District to implement it. Student failed to get on the bus to attend public school, despite various transition activities attempted by the District. Student contends that Student’s anxiety and panic disorder made her unable to attend public school. Further assessments were conducted by county mental health and the District. In April 2012, the District changed Student’s eligibility category to emotional disturbance (with her learning disability as a secondary category) and offered Student placement at an NPS with a strong therapeutic component to address Student’s mental health needs. Student’s mother did not sign that IEP. After an independent assessment confirmed Student’s emotional disturbance classification, the District offered the therapeutic NPS placement once again, in an IEP offer made in August 2012. Student’s mother objected to the placement, but signed the IEP allowing the District to implement the program. Student failed to take the bus to attend the NPS placement, despite therapy and other transition services offered by the District. In Student’s part of this case, Student contends that the District failed to assess Student appropriately in May 2011 in the areas of mental health, social/emotional, and vision processing. Student contends that the insufficient assessment led to an improper IEP offer. Student also contends that the proposed placement at the public high school was inappropriate and that the District offered an insufficient transition plan to transition Student from her NPS placement to the high school. Student contends that Student’s mother made a request for an IEE in September 2011, which the District failed to act upon in a timely fashion. In the District’s part of this case, the District contends that its August 2012 IEP offer for the therapeutic NPS was appropriate both procedurally and substantively. This Decision finds that the District delayed too long in providing the requested IEE to Student after Student’s mother requested it in writing, thereby denying Student a FAPE. Aside from that, the District offered Student a FAPE both procedurally and substantively at all times at issue in this matter. The District is ordered to provide Student with psychotherapeutic services to remedy the denial of FAPE. 1. Student is an 18-year-old woman who is currently eligible for special education and related services under the primary eligibility category of emotional disturbance (ED) and a secondary eligibility category of specific learning disability (SLD). Student’s mother holds a power of attorney to represent Student in educational matters. 2. The events at issue in this case began in approximately May 2011. However, to understand the ramifications of those events it is necessary to briefly review certain facts involving Student prior to that time. 3. Student attended school in the District during her middle school years. At that time, Student’s eligibility category was SLD. The parties dispute whether Student engaged in any conduct in middle school which might have caused the District to suspect that she was a child with ED. In particular, there was a dispute as to whether Student engaged in “cutting” behavior when she was in middle school. 4. Cutting behavior occurs when a child or teenager uses a sharp item to scratch or make superficial cuts on his or her skin as a way of expressing emotional difficulties such as pain or frustration. 5. In September 2008, Robert Gray, Ph.D., conducted a neuropsychological assessment of Student. At that time, Student was 14 years old and attending the eighth grade in a District public school. Her program consisted of a mix of special education and regular education classes. According to Dr. Gray’s report, Student’s mother “requested a pediatric neuropsychological evaluation due to ongoing concerns with her academic performance….” Dr. Gray’s report noted Student’s problems with academics, attention, executive functioning and organization. 6. Dr. Gray’s report contained no mention of any cutting behavior by Student, and made no mention of Student having any anxiety, panic attacks, school phobia, or panic disorder. The social/behavioral problems noted by Dr. Gray for Student involved Student’s self-esteem and her embarrassment about being a special education pupil. For example, the responses by Student’s mother to the Behavior Assessment System for Children –Second Edition (BASC), indicated that Student demonstrated “difficulties with social withdrawal (has trouble making new friends, is shy around other adolescents).” The teacher rating scales noted concerns regarding things such as poor social and leadership skills. 8. Student’s mother testified that she suspected Student was engaging in cutting behavior during middle school, because she found towels with blood on them. She also testified that she told Student’s teachers and Student’s counselor Sharon Harvey about her concerns regarding Student’s possible cutting behavior. She testified that she raised the issue with the IEP team in June 2009. 9. Ms. Harvey, during her testimony, denied that Student’s mother ever told Ms. Harvey or the IEP team that Student was cutting herself. Ms. Harvey testified that she was contacted by one of Student’s teachers in January 2009, because the teacher noticed some “eraser burns” on Student’s hand caused by a pencil eraser. Ms. Harvey examined Student’s arms and saw no blood, scars, or scabs, other than that eraser mark. She asked Student about any stress she might be feeling, but Student told her that Student was just bored, not stressed. Ms. Harvey attempted to contact Student’s mother by telephone, but Student’s mother did not return her call regarding the incident. 10. On March 5, 2009, Student again had eraser marks on her hand. She also had a cut on her arm, which Student claimed had occurred when she was attempting to shave herself. During the hearing, Ms. Harvey described the cut as one scratch mark which was about 2 inches long. She inspected Student’s arms for other scratch marks but did not see any. Ms. Harvey spoke to Student’s mother who confirmed that Student had cut herself while shaving. Student’s mother told Ms. Harvey that they were going to buy a new razor. Ms. Harvey testified that the scratch was on the top of Student’s arm and there was no hair around the cut, so it appeared to Ms. Harvey that Student had, in fact, cut herself while shaving. Student’s mother told Ms. Harvey that she had spoken to Student about her eraser burns and informed Student that she had to stop doing that. 11. Student’s mother, on the other hand, testified that she did not think the cut could be from shaving and that she told Ms. Harvey she thought it was an excuse Student was giving. 12. Dana Connolly, one of Student’s eighth-grade teachers, and Sherri Miller, a program specialist who attended Student’s eighth grade IEP meetings, confirmed Ms. Harvey’s testimony that Student’s mother never told the IEP team about any cutting by Student during her eighth-grade year. 3 Apparently the District had a policy of denying these activities to pupils whose grades were too low. 13. On June 9, 2009, Philip Moore, a marriage and family therapist who provided therapy to Student on and off during the time periods at issue in this case, wrote a letter to the District on Student’s behalf. In the letter, he complained about the District refusing to allow Student to participate in activities such as a school luau/dance, a class trip to Knott’s Berry Farm and similar end-of-the-year activities. 3 He thought such refusal would be considered punitive and “for a sensitive person like [Student], embarrassing and potentially emotionally and psychologically damaging.” His letter made no mention of cutting behavior, school phobia, anxiety, panic attacks, panic disorder or any similar conduct by Student. 14. The evidence does not support a finding that the District should have suspected Student was a child with ED or conducted further mental health assessments during middle school. Dr. Gray’s report found Student’s social and emotional behavior to be intact. He suggested monitoring of her self-esteem, not changing her eligibility category. Philip Moore’s June 2009 letter made no mention of any cutting behavior, phobia, anxiety or panic. While Student’s mother may have had suspicions about cutting, she either did not share her concerns with these two experts, or the experts chose not to share that information with the District. On the two occasions when the District discovered possible self-injurious behavior, there was a believable explanation for that behavior. On the second occasion, Student’s mother supported that explanation. Student’s mother’s testimony that she shared concerns about cutting with the District staff during Student’s eighth grade year was not supported by the rest of the evidence. 15. Student’s expert Mitchel Perlman, Ph.D., opined that the District should have assessed Student for ED when Student was in middle school. However, as will be discussed in more detail below, Dr. Perlman’s opinion was based heavily on what Student’s mother reported about the events in middle school. Dr. Perlman never spoke with Student’s middle school teachers. While Dr. Perlman was well-qualified and well-informed in other respects, his opinions regarding Student’s needs in middle school were not persuasive. 16. As a result of due process settlement agreements between Student’s mother and the District, the District paid for Student to attend an NPS called the Winston School (Winston) during Student’s freshman and sophomore years of high school. 17. Jeff Kozlowski, the Director of Special Education at Winston, testified during the hearing regarding Winston’s program. Mr. Kozlowski has a double master’s degree in special education and educational administration and undergraduate degrees in history, regular education and special education. He has worked for Winston for eight years in his current position. As Director of Special Education, he oversees cases, helps to prepare IEP’s, reviews and discusses goals, and considers appropriate placements for pupils. Prior to his current position, he was a full time teacher at Winston. He was Student’s English teacher during her two years at Winston and served as her case manager. 18. Winston is geared for pupils with special needs such as SLD. It has approximately 100 pupils, about half of whom are funded by school districts and half are privately placed by their parents. The average class size is seven to 10 pupils. In classes with 10 – 11 pupils, there is a teacher’s assistant in the class as well as the teacher. According to Mr. Kozlowski, Winston has a lot of pupils with school phobia, so the small class size helps prevent them from feeling overwhelmed. Winston has a credit recovery program for pupils beyond their senior year of high school. 19. Winston does not specialize in assisting pupils with ED or mental health issues, although it does provide counseling and will accept enrollment of pupils with an ED classification as long as Winston believes the school can meet those pupils’ needs. Student had an SLD classification, not an ED classification, at the time she attended Winston. There are currently two marriage and family therapists on staff at Winston, five interns, and a head psychologist. If a pupil has severe behavior, such as behaviors that require physical restraints, Winston looks for another placement for the pupil. According to Mr. Kozlowski, about every three to four years they have a pupil at Winston who needs physical restraints. Winston will occasionally take in pupils who have cutting behaviors, depending on the pupil. Usually there is a doctor’s recommendation that the pupil is ready. 20. Student did very well during her two years at Winston and enjoyed her time there very much. Her grades improved, she made friends, she became involved in school activities, and she had a boyfriend there. According to Mr. Kozlowski, when Student first started attending Winston she was introverted. She did not like school and did not think she could learn. Gradually she opened up and by May of 2011, she had even considered running for student government. Student began to talk about going to college. 21. There was no evidence that Student engaged in any cutting behavior while she attended Winston. According to Mr. Kozlowski, she exhibited anxiety and panic attacks regarding “high-stakes” tests, but there is no evidence that she avoided school at Winston due to her test anxiety or panic attacks. Mr. Kozlowski explained that when Student was given extra time, breaks, and supports during testing, her level of functioning was much higher. Student exhibited some emotional issues when the District staff conducted observations at Winston in 2010, but her more serious emotional issues began when the District staff conducted a triennial assessment of Student in May 2011. Her anxiety regarding the District’s observations and assessment were caused by her concern that she would be required to leave Winston to return to public school. Mr. Kozlowski testified that Student had felt her prior public school placement was for people who were “retarded” and low functioning, so it made her feel low functioning. 22. During her time at Winston, Student received counseling services from an intern. That intern is now a licensed marriage and family therapist. Student also relied upon Mr. Kozlowski for support. Student’s emotional needs at Winston escalated after the District began its May 2011 triennial assessment, and she began to see her counselor frequently, sometimes on a daily basis. 23. Winston is located in Del Mar, California, many miles from Temecula. For part of the time that Student attended Winston, her mother drove her to Del Mar. For part of the time, Student participated in a carpool with another family. For part of the time, Student and her mother took public transportation to travel to and from Winston. 24. That public transportation was a very long process. According to the testimony of Student’s mother, they had to get up at 3:00 a.m. and reach the bus stop by 4:00 a.m. They took a bus to the mall and then a commuter bus to Oceanside. From there, they took the train to Solana Beach, walked to the bus stop and took another bus to Winston. They spent about five hours traveling each day. There was no evidence that Student was unable to access this public transportation, to take the public train, or to take the public bus. There was no evidence that Student was afraid to leave her home during the time that she attended Winston. Mr. Kozlowski testified that Student had school phobia and school apathy when she came to Winston, but the rating scales he filled out for the District’s assessment in May 2011 did not indicate such problems. He told Student’s IEP team that her anxiety was related to the District’s IEP process. 4 During the Prehearing Conference, Student’s counsel explained that Student is only challenging the portions of the District’s 2011 triennial assessment involving visual processing, social/emotional functioning, and mental health. For this reason, Factual Findings regarding the remaining portions of the assessment (such as academic testing) will be made only to the extent that those findings are necessary to determine whether the District’s 2011 IEP offer was appropriate. The evidence at hearing showed that Ms. Check was well qualified to perform the academic portion of the assessment and that her assessment was conducted appropriately. 26. Ms. French holds a pupil personnel services credential and is a board certified school neuropsychologist. She has been a school psychologist for over 20 years and has worked for the District as a school psychologist since 1999. She has experience assessing the social/emotional needs of pupils and has done hundreds of ED evaluations. 27. The tests and assessment instruments used by the District assessors included the Wechsler Intelligence Scale for Children, Fourth Edition (WISC-IV), the Wechsler Individual Achievement Test –Third Edition (WIAT-III), the Bender Visual-Motor Gestalt Test, Second Edition (Bender), the Test of Auditory Processing Skills, Third Edition (TAPS3), the Test of Visual-Perceptual Skills, Third Edition (TVPS-3), the Connors -Third Edition (Connors-3), the Piers-Harris Children’s Self-Concept Scale, Second Edition (Piers-Harris), and the BASC. The District assessors also reviewed records, including prior assessments done by the District and the assessments done by Dr. Gray, attempted to make observations of Student at Winston, and gathered information from Student’s teachers at Winston. The District also sent documents for Student’s mother to complete and return, including a parent survey, the parent rating scale portion of the Connors-3, and the parent rating scale portion of the BASC. 29. At the time of the assessment, Student believed that, as a result of the assessment, the District would require Student to return to a public school. Student did not want to leave Winston to return to a public high school. During the District’s assessment, Student began to exhibit a different type of anxiety than she had previously exhibited at Winston. 30. Ms. French testified that when she first began testing Student on May 4, 2011, Student appeared calm and was not anxious, although Ms. French did sense some opposition. About 10 minutes after Ms. French began testing, Student asked if she could use the restroom. She was away for about 40 minutes. Mr. Kozlowski came to the room during that time and informed Ms. French that Student had come to him and had been crying. He asked if he could sit in on the testing session and Ms. French agreed. Mr. Kozlowski sat in on the remainder of the testing session that day. 31. Once Mr. Kozlowski was in the room, Student was able to proceed with the testing. Ms. French could tell that Student had been crying, but Student did not cry during the assessment or appear anxious to Ms. French. At some point during the testing, Ms. French could tell that Student did not wish to continue the testing, so Ms. French ended the test and decided to complete the assessment on a different day. 32. On the second testing session, Ms. French gave Student a gift of a stuffed animal because she felt bad about Student’s reaction to the first day of testing. She said that Student seemed pleasantly surprised and thanked her for the gift. However, Ms. French later saw the gift on a table and was informed by Student’s mother that Student did not wish to have anything to do with the gift or with the District. 33. Ms. French attempted to observe Student in the classroom on May 11, 2011, but Student left the class after about seven minutes and did not return. The classroom teacher subsequently told Ms. French that she found Student in the restroom. 34. Student exhibited similar conduct with the academic portion of the assessment conducted by Chris Check. On the first testing date, May 12, 2011, Student was tested with her mother present and initially appeared anxious about the assessment. At one point during a break in the process, Student expressed concerns regarding the assessment and stated she did not want to return to public school. Student told Ms. Check that she knew the testing was being done to get her back into public school. Ms. Check discontinued the testing that day and resumed it again on May 24, 2011. After about 15 minutes on the second occasion, Student began expressing her unhappiness over being tested. She subsequently put down her pencil and said she was done testing. However, at that point she had (apparently unknowingly) completed the final subtest of the test so no further academic testing was necessary. 35. Mr. Kozlowski testified that Student required daily counseling for about a week after each time the District assessors were on the Winston campus, and then weekly counseling for a month after that. He said her panic reactions kept her out of class more, but that was not detrimental to her education at Winston, because Winston is good at getting a pupil to calm down and return to class. On the days she missed class, Winston made additional accommodations for her, such as extended time for assignments. 36. Student contends that the District’s assessment was not adequate in the areas of social/emotional functioning, mental health, and visual processing. Student believes that the District should have conducted additional assessments in those areas. 37. The District’s assessment included a social/emotional assessment of Student. The assessment was designed to see if there were any social/emotional areas that required further testing. It was not the in-depth type of assessment that a school district would use to determine whether a child is eligible for special education under the category of ED. Ms. French explained that Student’s eligibility category was SLD at the time of the assessment and Ms. French had no reason to believe that Student needed an in-depth assessment related to ED or further assessment in the area of social/emotional functioning. 38. To evaluate Student’s social emotional needs, Ms. French sent Student’s mother and two of Student’s teachers (Mr. Kozlowski and Ms. Phillips, Student’s geography teacher) the Connors-3, a rating scale designed to measure attention, conduct and attention deficit hyperactivity disorder. Student’s mother did not return the Connors-3 responses to the District, but the two teachers’ responses did not note any areas of concern except inattention, learning problems, and learning problems/executive functioning. feeling good about herself at that time and her scores were in the average range. Student did not testify at the hearing, but others reported that she completed the Piers Harris based on the way she felt while attending Winston, not the way she had felt in middle school. 40. As part of the social/emotional portion of the assessment, Ms. French also administered the BASC, which contains questions relevant to whether the child is experiencing anxiety, depression, and suicidal ideation (thoughts of suicide). Ms. French’s assessment report described the BASC as “an integrated system designed to facilitate the differential diagnosis and classification of a variety of emotional and behavioral disorders of children and adolescents.” According to Ms. French’s testimony, the BASC is a big factor in determining whether a person may meet the criteria for ED. She also administered the BASC to Ms. Phillips and Mr. Kozlowski. Ms. Phillips rated Student in the average range, while Mr. Kozlowski rated her as being clinically significant in anxiety, learning problems and school problems. Ms. French also gave the BASC to Student, who rated herself in the average range, except for hyperactivity. 41. The parties dispute whether Student’s mother received the BASC questions to complete as part of the assessment. The District maintains that the questions were sent to Student’s mother, and entered into evidence a cover letter with the BASC questions mailed to Student’s mother on April 26, 2011. Student’s mother told the August 2011 IEP team that she had not received the questions, so the District sent them again in August 2011. Student’s mother did not complete the BASC answers or the other parent forms at that time. She ultimately filled out the BASC in 2012, long after the District’s triennial assessment and August 2011 IEP offer. 42. As part of her assessment, Ms. French also asked Student’s teachers at Winston to fill out forms regarding Student’s functioning in their classes. Almost all the teacher reports Ms. French received from Winston reported that Student had good social skills and a positive attitude. [Student] came to Winston and did not believe in herself. She thought she was stupid and could never learn complex information. Gradually, over time, she has taken appropriate educational risks and has begun to believe in her ability to learn –she still struggles when presented with challenging/unfamiliar material, (such as writing a sonnet), but with support she’s able to overcome the fear/anxiety/learned helplessness to gain grade level understanding. 44. Student’s other teachers at Winston noticed similar academic weaknesses such as problems with attention and work completion, but mentioned no social/emotional issues, aside from the lack of self-confidence. [Student] has made steady progress in her ability to make and maintain ageappropriate friendships. Her counselor reports [Student] has been exposed to various strategies to help her with test anxiety. In recent weeks, she has shown much anxiety when the district has tested her, and has required maximum intervention to help her through anxiety strategies. [Student] has begun to process her raw emotion regarding former placement within a counseling setting. However, she still has a lot of fear and anxiety over her former placement on 4 o 5 occasions [sic]. 46. At the time of the assessment, Ms. French believed that Student’s counselor was Mr. Kozlowski, so she did not attempt to speak to the intern who was providing counseling to Student at Winston. As part of her social/emotional screening, Ms. French also relied upon the 2008 assessment done by Dr. Gray, in which the parent rating scales on the BASC showed social emotional scores in the average range, except for the score regarding withdrawal (which was just at the borderline of average). 47. During the hearing, Ms. French explained that, in order to meet the Education Code criteria for ED, a child’s problem behavior must be pervasive across environments and over time. A behavior that occurs only in one situation is not generally sufficient to meet the educational criteria for ED. In Ms. French’s opinion, if Student demonstrated anxiety during the District testing, but not during testing conducted by a non-District person, that would be situational behavior, not a pervasive condition indicating ED. 48. Based on all the information that Ms. French received in connection with her assessment – including the testing and rating scales she administered, the teacher comments, and her records review – Ms. French saw no need to make a referral for Student for further testing to determine if Student was a pupil with ED or for further social/emotional or mental health assessment. Nothing in any of the screening tests she gave indicated Student might have ED or require further assessment. At the time of her testing, Ms. French believed that any emotional difficulties Student exhibited were typical for a girl her age. 49. Student relies upon the testimony of Student’s expert Dr. Perlman to support Student’s contention that the social/emotional portion of the District’s triennial assessment was not sufficient. Dr. Perlman is a clinical psychologist with a postdoctoral master’s degree in clinical psychopharmacology. He interned as a school psychologist during his training. He is also a licensed marriage and family therapist and has worked with children placed in psychiatric hospitals and residential treatment centers. He has participated in professional publications and done presentations and lectures. He is qualified to provide evaluations in court regarding child custody and has given advice regarding schooling for minors. Most of his practice involves the educationally related needs of children. He has conducted many independent assessments on behalf of parents and school districts. 50. As will be discussed in Factual Findings 170 – 178 below, Dr. Perlman assessed Student in May 2012, about a year after the District’s May 2011 triennial assessment. Based on his testing, his review of Student’s records from middle school, and his interview of Student and her mother, he believed that Student definitely had social/emotional issues in May 2011. He believed the ED eligibility should have been investigated much earlier, even as early as middle school. 52. Contrary to Dr. Perlman’s opinion that Student had become a “social recluse” in eighth grade, according to Mr. Moore’s letter at the time, Student wanted to attend social events such as the luau/dance and the class trip to Knott’s Berry Farm. 53. During the hearing, Dr. Perlman explained that Student’s mother provided him with information that Student had middle school absences and tardiness due to Student waking up paralyzed with fear. However, that fear was not noted by either Dr. Gray or Mr. Moore at the time and it was not consistent with Student’s mother’s responses to the BASC at that time. 54. It was clear that Dr. Perlman relied heavily on what Student and Student’s mother told him about Student’s past during his assessment interview in May 2012. He admitted that the responses Student’s mother gave on the BASC in Dr. Gray’s report were inconsistent with the information Student’s mother provided to him about middle school. 55. Contrary to Dr. Perlman’s description of Student’s middle school events, Ms. Harvey reported that Student had friends during her eighth grade year. Ms. Harvey testified that Student was upset when she learned that her grade point average was not high enough to allow her to attend the end of the year social activities such as the Knott’s Berry Farm trip and the dance. Those actions were not consistent with the reports of a girl paralyzed with fear. Because Dr. Perlman relied heavily on the middle school situation in criticizing the District’s May 2011 assessment, his criticism of the District’s assessment is not persuasive. Dr. Perlman admitted that, without past history, the results of the District’s May 2011 assessment alone would not have qualified Student as ED. 56. The District witnesses were consistent in their testimony that, prior to the August 2, 2011 IEP, the District saw no need for further social/emotional or mental health assessment for Student. Ms. French opined that the District’s May 2011 triennial assessment was comprehensive based on Student’s areas of suspected disability at the time and that no further assessments in the areas of social/emotional or mental health were warranted. Nothing in that assessment indicated that Student was engaging in self-harm behaviors. 57. Breck Smith, a District program specialist who chaired Student’s IEP meetings, testified that prior to the August 2011 IEP, neither Student’s mother nor Winston had asked for further testing in the mental health area. Ms. Smith holds a special education credential and has taught pupils with SLD and ED. Ms. Smith testified that the District was not aware of the extent of Student’s anxiety until Student’s mother reported about Student’s cutting and anxiety during the August 2011 meeting. The Winston school had seen no evidence of Student cutting herself. Ms. Smith understood Mr. Kozlowski as saying that Student’s anxiety was circumstantial based on the District’s assessment. 58. Ms. Check, who conducted the academic portion of Student’s May 2011 assessment, testified that the first she ever heard of Student engaging in cutting behavior was during the August 2011 IEP meeting. Even Mr. Kozlowski testified that his first knowledge of Student’s cutting behavior came during that August 2011 IEP meeting. He admitted during the hearing that he did not think Student would have shown the type of anxiety she did absent the District testing. In his opinion, her anxiety was related to the District. 59. The District employees’ testimony was supported by the District’s primary expert witness Terry Tibbetts. Dr. Tibbetts has extensive experience in the field of ED for adolescents. He received his Ph.D. in psychology in 1979 and his law degree in 1994. He has worked as a school psychologist, as a director of special education for various school districts, as Special Education Local Plan Area (SELPA) Director, as a Clinical/School Psychologist for the State Diagnostic Center, as a Mental Health Program Specialist for the State Department of Mental Health, and as a Senior Psychologist for the California Youth Authority. He is currently employed as a psychologist for the California Department of Corrections in the division of juvenile justice. He has worked with pupils with ED in the past and assisted the California Department of Education in the development of the special education category of ED. He led a task force in 1986 that published a handbook to assist in the determination of whether a pupil had ED. He also has experience in determining when it is appropriate to make a referral to county mental health for an assessment and worked with the people who were responsible for the legislation that set up the system of county mental health referrals by school districts. He has taught college courses related to assessment of children with social/emotional needs. 5 In Student’s written closing argument, Student implies that Dr. Tibbetts reversed his testimony after being shown middle school documents on cross-examination. However, that does not accurately reflect his testimony. On cross-examination, he agreed that as of August 2, 2011, the District had enough information to raise a suspicion of social/emotional issues, giving rise to a duty to assess. However, as stated in the Factual Findings below, at that point the District did refer Student for a county mental health assessment. Contrary to Student’s contention, Dr. Tibbetts did not change his testimony regarding Ms. French’s social/emotional assessment or state that additional assessment was necessary in May 2011. 60. Although Dr. Tibbetts did not assess Student, based on a review of Student’s records, Dr. Tibbetts opined that Ms. French conducted a proper social/emotional evaluation. 61. The District witnesses were persuasive on the issue of the appropriateness of the May 2011 assessment with respect to social/emotional and mental health issues. Based on all the information possessed by the District at the time of the assessment, the social/emotional assessment conducted by Ms. French was sufficient to address Student’s areas of suspected disability. While Student exhibited anxiety during the District’s assessment, that was not enough to put the District on notice that she might be a pupil with ED or warrant a further mental health assessment. The rating scales, teacher questionnaires and other assessment evidence showed Student to be a well-adjusted and socially capable young woman. Her distress caused by the District assessments seemed to be related to a single situation and not a pervasive problem. There was no need for the District to conduct further social/emotional or mental health assessment at that time. 62. The parties also dispute whether the District should have made a referral in May 2011 for Student to have further assessment in the area of visual processing/vision therapy. Ms. French testified that, based on past assessment information, there was no need to refer Student for a visual processing/vision therapy assessment at the time she began her May 2011 triennial assessment. 63. In the 2011 triennial assessment, Ms. French administered the TVPS-3 to measure Student’s visual perceptual skills. The TVPS-3 is a non-motor test instrument designed to measure various aspects of visual perceptual skills, and visual perceptual strengths and weaknesses in pupils. On the TVPS-3, Student scored in the average range on all the subtests except visual discrimination, in which she was significantly below average. Visual discrimination involves being able to visually perceive differences in forms. Although Student exhibited a low score on this test, other tests Ms. French gave also involved visual processing, so Ms. French did not rely solely on that score in making her recommendations. 64. Ms. French also examined the motor component of Student’s visual motor skills by using the Bender. The Bender is a screening device for neurological impairment and development of visual-motor integration skills in children and adults. Ms. French found no evidence of significant visual perceptual impairment based on Student’s scores on the Bender, but did note weaknesses with Student’s visual memory skills. In Ms. French’s opinion, these test instruments provided a good way to measure Student’s visual processing needs in the spring of 2011. 65. Student relies upon the testimony of Dr. Stephen Huang to support the contention that further testing in the area of visual processing/vision therapy was necessary in May 2011. Dr. Huang is an optometrist who has done a lot of work in assessment and treatment of children with visual processing disorders. 66. In September 2012, more than a year after the District’s triennial assessment, Dr. Huang conducted a visual sensory assessment of Student. His assessment did not find any visual sensory processing problems for Student. 67. During the hearing, Dr. Huang explained that there is a distinction between visual sensory problems and visual perceptual problems. Visual sensory problems relate to way the brain obtains visual information. Visual perceptual problems relate to how the brain processes the information once it is received. Upon reviewing [Student’s] past psycho-educational reports and Dr. Perlman’s comprehensive assessment, her learning difficulties have been longstanding and complicated. The results indicating visual perceptual deficits have been mixed. It does not appear that it is the primary problem but can be a contributing factor. There are computerized visual-perceptual programs (e.g. Perceptual Therapy System (PTS II) and Visual Information Processing Skills (VIPs) that can be used to help this area. 69. In his opinion, absent an event such as catastrophic brain injury, a pupil should not develop visual perceptual problems suddenly in 2012. On that basis, he testified that it is likely Student had a visual perceptual processing problem prior to Dr. Huang’s September 2012 testing. However, he acknowledged that test results in the past had been inconsistent as to visual processing issues. 70. Dr. Perlman opined that his 2012 IEE showed visual processing problems. However, he did not have the same opinion regarding the District’s prior testing. Instead, he testified that he did not see any visual processing deficits that surfaced consistently in Student’s testing in the past. In Dr. Perlman’s opinion, school psychologists and clinical psychologists can identify visual processing deficits without referring a child to an optometrist. 71. The District’s position is persuasive in this matter. As of May 2011, the District had no reason to conduct further assessment in the area of visual processing/vision therapy. Ms. French’s assessment was complete and sufficient to address Student’s needs in that area. Dr. Perlman did not testify to a need for a further visual processing assessment or a vision therapy assessment in May 2011 based on his review of the District’s triennial assessment. Even Dr. Huang’s opinion, based on an assessment done a year later, was ambiguous – his recommendation for the two computer programs indicated that the programs would be helpful for Student, not an educational necessity. 72. The District witnesses were persuasive in their testimony that the District’s May 2011 triennial assessment was comprehensive and sufficient to address all areas of suspected disability for Student at the time. There was no denial of FAPE. 6 During the hearing, Student’s counsel confirmed that Student is not challenging the timeliness of the IEP meeting to review the triennial assessment, so there is no need for Factual Findings regarding the attempts the District made to hold the triennial review IEP prior to August 2, 2011. 7 Student’s due process request only challenged the August 2011 IEP with respect to the assessment information available to the IEP team, the proposed transition plan, and the proposed placement. Therefore, detailed Factual Findings as to other elements of the IEP will be made only insofar as they pertain to the portions of the IEP at issue in this case. 73. After attempts at earlier scheduling, the IEP meeting to review the triennial assessment was ultimately held on August 2, 2011. 6 The people in attendance at the meeting included Student’s mother, the attorney for Student’s mother, the attorney for the District, Breck Smith (the District administrative designee), Ms. French, Ms. Check, a general education teacher, a special education teacher, and Mr. Kozlowski. Student was invited to the meeting, but did not attend. Student’s counselor from Winston did not attend the meeting, but was involved with preparing the present levels of performance and recommended draft goals that were presented to the IEP team. 75. During the meeting, there was a great deal of discussion regarding Student’s anxiety, particularly her anxiety about returning to public school. Student’s mother told the team that she believed Student had engaged in cutting behavior over the summer. During the May 2011 assessment, [Student] appropriately expressed her frustration with being assessed. Her mother stated that she had been anxious over the process for weeks. Academic testing needed to be broken up in two sessions to accommodate for her anxiety. The Winston School reports that [Student] has made steady progress in her ability to make and maintain age-appropriate friendships. The Winston School counselor reports that [Student] has been exposed to various strategies to help her with her test anxiety. The school site states that in recent weeks, she has shown much anxiety when the district has tested her, and has required maximum intervention to help her through her anxiety strategies. Winston School reports that [Student] has begun processing her raw emotions regarding her former placement within the counseling setting. However, she still has a lot of fear and anxiety over her former placement on 4 out of 5 occasions. 77. Based on the reports from Student’s mother during the meeting that Student had begun cutting herself over the summer, was exhibiting anxiety, and had even threatened suicide, the team discussed making a referral to county mental health for a mental health assessment of Student. As will be discussed below, a referral for a mental health assessment was ultimately made as a result of information discussed during the meeting. 78. There was an extensive discussion regarding placement during the meeting. Several different placement options were proposed and discussed. Student’s mother and Mr. Kozlowski provided input to the discussion. Student’s counsel was active during that discussion and during the rest of the meeting. The District team members were polite, professional and open to the comments and suggestions made by Student’s counsel, Student’s mother and Mr. Kozlowski throughout the meeting. Upon many occasions during the meeting, District staff solicited comments from Mr. Kozlowski and Student’s mother. 79. The proposed IEP recommended that Student be placed at Temecula Valley High School. The IEP called for her to be placed in a special education special day class (SDC) for her core curriculum classes (for four periods a day) and in general education for the remainder of the day, with special education consultation and collaboration. Student would also participate with non-disabled peers during recess, lunch, and extra-curricular activities. In total, Student would be outside the regular education environment for approximately half of her school time. 80. The District proposed the SDC classroom because Student had been working in a small classroom setting at Winston and because of the reports of her anxiety about returning to the public school. The District wanted to make certain she would be successful in her transition. regarding her former District placement. According to Mr. Kozlowski’s testimony, Student’s counselor at Winston had recommended counseling once a week for Student if Student remained at Winston. 82. The IEP offered supplementary aids, services and supports to assist Student including, 1) visual aids to support instruction; 2) a mobility pass (which Student could use to leave class at any time to speak to a counselor or trusted staff member); 3) access to assistive technology for writing assignments; and 4) repeated directions. 84. The IEP contained two transition plans. It contained an individual transition plan (ITP) related to Student’s post-secondary school goals and a transition plan to help transition Student from her placement at Winston to a placement at the public school. 85. The IEP team had extensive discussions about both the post-secondary ITP and the plan to transition Student back to public school. With respect to the latter, Mr. Kozlowski recommended a dual enrollment for Student, in which Student would attend Winston for part of her day and the public school for part of the day. When the District staff asked Student’s mother her opinion about that proposal, she said she did not think she could get Student’s “buy in” to a dual enrollment. Because of the distance from Winston to Temecula Valley High School, Student would also lose educational time while riding on the bus. Student’s mother did not want Student to lose any of her social activity time at Winston so she objected to a plan that would place Student at Winston in the morning for core classes and then at the District in the afternoon for one elective class. 8 During the hearing, Mr. Kozlowski testified that District’s counsel struck the idea of the dual enrollment. However, the hearing recording does not support his recollection of the meeting. When Mr. Kozlowski first raised the possibility and the team discussed the idea, Student’s mother was the one who objected. To support [Student’s] transition to TVHS, [Student] can meet with a school counselor prior to the commencement of the regular school year to discuss her schedule. [Student] can also meet with a school DIS counselor and school psychologist prior to the start of the school year to discuss concerns or anxiety related to attending TVHS. [Student] will receive a mobility pass to permit her to see a school counselor at any time during the school day. An IEP team meeting will be held 30 days after [Student] commences attendance at TVHS to discuss her transition and determine if any adjustments to the IEP are warranted. 9 The recording of the IEP was entered into evidence during the hearing. The ALJ listened to that recording in full and heard no request by Student’s mother or her counsel for an IEE. Student’s written closing argument cited to no portion of the recording in which such a request was made. Ms. Smith testified that no such request was made during the meeting – if it had been made, she would have recorded it in the IEP meeting notes. It was reported that [Student] has recently begun cutting herself again. Her mother believes that she will not be able to get [Student] to the public school or to keep her there. [Student’s mother] is concerned for her daughter’s safety and emotional well being should she be moved from Winston inappropriately. 90. During the meeting Student’s mother and Student’s counsel predicted that Student would refuse to attend public school if the IEP proposed that placement. Student’s mother reported to the team that Student got claustrophobic on a public bus. 91. Student raises three objections to the District’s August 2011 IEP offer. First, she contends that it was invalid because it was made without sufficient assessment information. In particular, Student believes that further mental health assessment should have been conducted before the offer was made. The evidence does not support Student’s contention. 92. As stated above in Factual Findings 25 – 72 above, the District May 2011 assessment was appropriate and comprehensive. There was no need for further mental health or visual processing assessment at that time. When Student’s mother raised new issues during the IEP team meeting about Student cutting herself over the summer, threats of suicide, and possible claustrophobia about taking a bus, the District reacted properly by agreeing to refer the matter for a mental health assessment. 93. However, nothing at that time required the District to wait for the new assessment before making an IEP offer. The information the District possessed at the time of the meeting indicated that Student’s only real mental health issues (besides some high-stakes test anxiety) involved her desire not to leave Winston to return to public school. Based on the information possessed during the meeting, the District could reasonably anticipate that, once the transition was made, Student’s anxiety would decrease with counseling and the other transition services. 94. The information the District possessed during the meeting did not indicate the degree of anxiety or panic that surfaced later. For example, Student’s mother talked to the IEP team about “buy-in” by Student. That type of language implied Student’s concerns were based on her preference for Winston, not immobilizing anxiety or panic attacks. 95. Ms. French testified that, at the time of the August 2011 IEP, she did not think Student would have difficulty leaving her house to attend the public high school. She acknowledged that Student’s mother had raised concerns during the IEP meeting, but those concerns were not consistent with the assessment data that Ms. French collected. Everything in her assessment report indicated that Student was resilient enough to make the change. 96. Student did not bring in sufficient evidence to meet her burden to show that the District’s August 2011 IEP offer was made without adequate assessment information. There was no denial of FAPE. 97. Student next contends that the offer for placement in the public school was inappropriate to meet Student’s needs. Student relies on the testimony of Dr. Perlman and Mr. Kozlowski in support of this contention. 98. Mr. Kozlowski testified that, at the time of the August 2011 IEP meeting, he believed the District’s offer of placement at the public high school was not appropriate for Student. During his testimony, he raised four objections to the placement: 1) Winston “wasn’t on the table” during the IEP meeting; 2) when he had discussed a dual enrollment at the meeting, he was “shot down;” 3) the fact that he and Student did not have an opportunity to visit the proposed placement; and 4) because other professionals in the room had discussed other possible placements, but Ms. Smith “overruled them and offered her version of the placement.” He believed that Student was not ready to return to public school and that she would have shut down there because her academics were tied to her emotions. 99. Student’s expert, Dr. Perlman, relied on Mr. Kozlowski’s opinion that Student was not ready to change placements as of August 2011. Dr. Perlman explained that his belief that the public school program was not appropriate was based solely on Student’s emotional needs, not her academic learning disabilities. 100. The District witnesses, on the other hand, believed at that time that Student could be successful in public school. Ms. French testified that, based on her assessment data, she believed Student could transition back to public school. Ms. Check believed that Student was too high functioning to be in a restrictive placement like Winston. She believed that Student’s academic needs could be met at the public high school. 101. Ms. Smith testified that, based on the information the District had as of August 2, 2011, the District believed Student’s needs could be met on a comprehensive District campus. Ms. Kubes, a special education teacher at the public high school, also testified that Student’s needs could be met at the high school as of August 2011. Ms. Kubes believed Student could have been successful on her IEP goals there. 102. Dr. Tibbetts agreed that the District’s offer of placement was appropriate at the time it was made. Based on Ms. French’s assessment, he felt there was no reason to believe that Student was emotionally disturbed or would need anything more restrictive than an SDC class in a public school setting. In his opinion, Student would have benefitted from a public high school placement, and it would have given her access to typical peers. He felt it was appropriate to offer Student an SDC class because she had previously been in a small class at Winston and there was discussion during the IEP meeting about anxiety. If she was able to make gains in that sheltered setting, they could increase her time in regular classes. 103. The District’s witnesses were persuasive on the issue of the offered placement. No one disputed that Student, from an academic point of view, was fully capable of making progress and gaining educational benefit at a public high school. Although she needed specialized academic instruction to address her learning disability, she did not need full-time placement in a small, restrictive SDC school such as Winston. At the public high school, she would have had access to typical peers. 104. While the IEP team had information to indicate that Student had emotional issues, anxiety, and panic attacks, particularly where the District was concerned, there was not sufficient evidence of pervasive emotional problems at the time of the August 2011 IEP meeting that would have kept her out of public school. It was objectively reasonable at that time for the District IEP team members to conclude that, with appropriate counseling and supports, Student would gain educational benefit both academically and emotionally in public school. would mirror the support she received at Winston, but at the same time would enable her to interact with typical peers. There was no evidence at hearing that Winston had any general educational classes or typically developing pupils in their classes. There was no denial of FAPE based on the placement offered by the District in August 2011. 106. Finally, Student contends that the plan in the August 2011 IEP to transition Student from Winston back to the public school was inappropriate. Once again, Student relies on the testimony of Dr. Perlman and Mr. Kozlowski to support her position. 107. Mr. Kozlowski did not believe the transition services in the August 2011 IEP offer were appropriate for Student. He felt she was not ready to transition to a less restrictive setting, but if she was ready it should be done through a dual enrollment (at Winston and the public school) to see how she would do at the public school. Based on what he saw during the triennial assessment, he did not think Student could transition successfully. His recommendation would have been for Student to stay at Winston, and if her anxiety lessened during the year, they could consider a dual enrollment and then a return to public high school in her senior year. He also believed that transportation for Student from Winston to the public school would have been difficult because she would have been emotionally distraught over it. 108. In Mr. Kozlowski’s opinion, any transition plan should have included a visit to the proposed placement and a three to four month trial period in which a counselor checked with her daily to make sure the conduct they initially saw at Winston was not returning. He felt that if Student returned to the public high school, she would need daily counseling to help her deal with the forced movement. In his opinion, she would have needed one-to-one support to function in the public high school. 109. Dr. Perlman also felt the transition plan was not appropriate. He believed a dual enrollment might have been appropriate at that point, but he felt it was too much to expect Student to drop all support she had at Winston to return to the public school, even with supportive adults on the public school campus. In his opinion, the District’s proposed plan was doomed to failure. 110. Dr. Tibbetts, on the other hand, believed the transition plan was appropriate and adequate to meet Student’s needs. He felt the plan would enable Student to return to a regular school campus, but provide supports such as counseling and the mobility pass to seek out counseling when needed. In his opinion, a dual enrollment would not have been his first choice because of the logistical problems and because Student could lose school credit during the long driving time. District counselors before hand. In Dr. Evelyn’s opinion, any adolescent will have a difficult time changing schools when she has friends at the old school. The District’s proposed transition plan could have addressed Student’s concerns about an SDC setting and how the class would be taught. 112. Ms. French felt the transition services offered by the District were appropriate for Student and were more than what Student would need. Ms. Kubes also testified that the transition plan was appropriate based on the information the District possessed at the time of the IEP meeting. 113. Based on the evidence the District had at the time of the August 2011 IEP meeting, it was objectively reasonable for the District to conclude that Student could successfully transition from Winston to the public school given the counseling, mobility pass, and other services offered in the August 2011 IEP transition plan. Student had shown no sign of serious anxiety or phobias while at Winston. According to Mr. Kozlowski, she participated in numerous activities while at Winston, including riding a bus to go to softball games and participating in a drama class. She had also taken five hours of public transportation a day to attend Winston during part of her time there. 114. While Dr. Perlman was well qualified, his opinion was not as persuasive as Dr. Tibbetts’s opinion, because Dr. Perlman relied heavily on the middle school information in forming his opinion regarding what the District should have known as of August 2011. He acknowledged that Student’s emotional needs had changed between the time of Ms. French’s May 2011 assessment and his own May 2012 assessment. 115. In Student’s written closing argument, Student objected to the post-secondary ITP in the August 2011 IEP. Student contends that it was not designed to meet Student’s unique needs. Student’s due process complaint did not allege a problem with the postsecondary ITP. Instead, the “transition plan” discussed in the complaint related to the transition from Winston back to the public school. It is questionable whether the District was given sufficient notice that Student would object to the post-secondary ITP. However, even if the issue had been raised, there was no denial of FAPE based on that post-secondary ITP. 116. The post-secondary ITP included activities such as assisting Student to complete college applications and sign up for college entrance testing. The IEP also contained transition-related goals and services designed to assist Student with seeking a parttime job, obtaining a driver’s license, and assisting her with independent living skills such as developing a personal budget and opening a checking account. Ms. Kubes was the District’s teacher for the transition program class and worked on transition goals with pupils. She testified that the IEP offered an appropriate ITP for Student. Her testimony was persuasive on that issue. 117. On August 16, 2011, the District wrote to Student’s mother, agreeing to conduct (or make a referral for an outside provider to conduct), the requested assessments in the areas of vision therapy, non-verbal cognitive ability, central auditory processing disorder (CAPD) and mental health. The parties thereafter engaged in a dispute about the language of the assessment plan for the assessments. Student’s mother believed the plan was vague. She did not sign her agreement to the assessments (except for the referral to county mental health for assessment, which will be discussed below). The District claimed the plan was not vague and refused to revise it. Student’s mother ultimately signed the other assessment plans with written comments. During the hearing she testified that she had not signed her agreement earlier, because she was not aware she could comment on an assessment plan. 118. Student presented no evidence that the failure to conduct the vision assessment, non-verbal cognitive ability assessment or CAPD assessment sooner affected Student’s education or the District’s IEP offers. Student presented insufficient evidence that any of these three assessments were educationally necessary for Student. There was no denial of FAPE based on any delay in these assessments. 119. On September 3, 2011, the District prepared the packet for a referral for a mental health assessment of Student. Student’s mother signed the consent for the assessment and release form for exchange of information on August 29, 2011. The District sent that packet to the county mental health agency on September 7, 2011. 120. Because of a mix-up, the District staff sent the referral packet to the wrong government mental health agency. That agency forwarded the referral to the correct agency at some point after receiving it. Although the evidence did not show when the packet was forwarded to the correct agency, the mental health assessment was not begun until December 2011. The mental health assessors had difficulty getting information from Winston and Mr. Moore, so the assessment report was not finalized until February 2012. I am writing this letter to inquire as to the status of my request for an IEE for my daughter [Student]. On August 2, 2011 during my daughter [Student’s] IEP I requested a district funded Independent psycho-educational evaluation by a neuro-psychologist. Your letter requests that the District fund a “psycho-educational” IEE to be performed by a neuropsychologist. We do not have any recollection or record of you requesting an IEE for [Student] at the IEP team meeting held on August 2, 2011. If you are now requesting an IEE for [Student], please identify the District assessment(s) with which you disagree and for which you are seeking the psycho-educational IEE to be performed by a neuropsychologist. Please understand that we need to know which District assessment(s) you disagree with so that we can determine if we will fund the requested IEE or request a hearing to demonstrate the appropriateness of our assessment(s). Once we receive your written clarification on this issue we will respond in writing and inform you as to whether we will grant your request for an IEE. 123. Student’s mother never responded to this letter or answered the question posed in the letter. On January 10, 2012, Student’s counsel sent a letter inquiring about the status of the IEE. On February 6, 2012, after Student’s initial due process request had been filed in this case (OAH case number 2012020005), the District sent a letter agreeing to fund an IEE in the area of psychoeducation. The District ultimately agreed that Student’s proposed assessor, Dr. Perlman, would conduct the IEE. 124. The failure to conduct the county mental health assessment in a timely fashion, constituted a procedural violation of special education law. Dr. Tibbetts recognized that the District is ultimately responsible for the delay, even if the delay was caused by the county mental health agency. However, as will be discussed in the Legal Conclusions below, there was no substantive denial of FAPE based on that procedural violation. The county found that Student did not need mental health services and recommended no changes to the August 2011 IEP. Even if the assessment had been completed sooner, it would not have changed anything in this case. 125. The failure to respond to the IEE request in a timely fashion was a different matter. The September 2011 letter by Student’s mother was sufficient to put the District on notice that she objected to the District’s triennial assessment and requested an IEE based on that assessment. At the time, the parties were trying to determine why Student was failing to attend school. An earlier IEE might have provided the necessary insight and enabled the District to make its April 2012 offer for a therapeutic NPS at an earlier time. Under those circumstances, the procedural violation resulted in a substantive denial of FAPE. The extent of that FAPE denial and the appropriate remedy for that denial will be discussed in the Legal Conclusions below. 10 Student’s due process complaint did not allege any procedural violations by the District (except related to assessments), so there is no need to make specific Factual Findings regarding the many minor disputes between Student’s mother and the District which occurred throughout the events underlying this case. IEP on October 11, 2011. 10 She added a notation expressing her disagreement with the IEP, but explaining that she was willing to let the District try it. 127. Student’s mother came to the District to register Student on October 20, 2011. The District arranged for a bus to transport Student to and from school starting the next morning. The District informed Student’s mother that Student’s team would be assembled to meet Student on her first day at school as called for in the IEP. The team consisted of Ms. Kubes (Student’s special education teacher and case carrier), Michelle Galusha (Special Education Department Co-Chair), Jeremy Warren (School Psychologist), Cathy Olszewski (District Counselor), and Robert Huish (Assistant Principal). 128. Although the school bus arrived to pick up Student the next day as scheduled, Student did not get on the bus. Student’s mother informed the bus driver that Student would not be attending school that day. Ms. Kubes suggested that Student’s mother should bring Student to school for the first week to help alleviate some of Student’s anxiety. Student’s mother did not agree to do so. She told Ms. Kubes that she wanted to leave things the way they were and that she wanted Student to ride the bus. 129. Student did not board the bus on the next day or any subsequent day. Student’s mother told Ms. Kubes that Student had too much anxiety to get on the bus. She told the District staff that Student started crying uncontrollably, had a stomach ache, and threw up. During her testimony, Student’s mother affirmed that she tried to do everything she could think of to get Student to attend school, but nothing worked. 130. On October 26, 2011, the District proposed that three District staff members –Ms. Kubes, Mr. Warren, and Ms. Olszewski –meet with Student at her home to talk about going to school and boarding the bus to be transported to school. The purpose for sending the employees to the home was to build a relationship with Student and support her in attending school. The parties attempted this transition service, but it was not successful in convincing Student to go to school. Despite multiple visits by various District staff members, Student still failed to take the bus or go to school. 131. On November 11, 2011, the District once again sent the parent rating scales from the BASC and the parent survey/information form to Student’s mother. The letter also included an additional assessment rating scale targeting areas related to ED. Student’s mother did not fill out the forms or return them to the District at that time. The District noticed a new IEP meeting for Student to discuss concerns about Student’s continuing failure to attend school. 132. On December 5, 2011, Dr. Evelyn met with Student and Student’s mother as part of the requested county mental health assessment. Because of delays in getting documents from Winston and Mr. Moore, the county’s assessment report was not completed until 2012. The District did not have that report as of December 2011. 133. Student’s IEP team met on December 13, 2011. According to the IEP notes, Student’s mother had received the November 11, 2011 letter with the rating scales, but had not yet completed or returned them to the District. Student’s mother stated that she had not received an assessment plan. The District provided Student mother with the release of information to speak to Student’s counselor to gain further information. 134. The District IEP team members believed that additional information and assessment results were needed to determine the appropriate placement for Student, so no changes were made to Student’s IEP at that December 2011 meeting. Dr. Tibbetts testified that, in his opinion, it was appropriate for the District to wait until the county mental health assessment was completed. He believed that the District had acted properly in making the county referral and had no reason to change the IEP until that assessment was complete. 135. At some point in late 2011, the District began School Attendance Review Board (SARB) proceedings regarding Student’s continuing failure to attend school. The SARB hearing was noticed for January 24, 2012. According to Student’s mother, the SARB Board ultimately met and determined Student’s conduct was not defiance. They dismissed the SARB proceeding and said it was an IEP matter. 11 Student’s mother believed that Student’s home was Student’s “safe” zone and did not permit District staff to come into the home to speak with Student. The District staff members who visited Student in fall 2011 in an attempt to transition her to school (as discussed in Factual Finding 130 above) remained outside the home and spoke to Student through the kitchen window. 137. The February 2012 IEP team received conflicting reports about the cause of Student’s failure to attend school. Student’s mother believed that Student’s anxiety and panic disorder made Student unable to get on the bus. Student’s mother had finally returned her responses to the BASC rating scales to the District. Her responses indicated that Student might be eligible for special education under the category of ED. 138. Student’s private therapist Mr. Moore participated in the February 2012 IEP meeting and provided input to the team. He told the team that he believed Student had a diagnosis of panic disorder and anxiety around large groups of people. He did not make any recommendation for placement or services for Student during the meeting. 139. The parties dispute part of what Mr. Moore told the team at the February 6, 2012 IEP meeting. According to Ms. Smith’s testimony, Mr. Moore stated that he had not worked with Student very many times, so most of what he told the team was based on parental report and his diagnosis of Student was based exclusively on parental report. Student’s mother denied that Mr. Moore made such statements to the IEP team. [Student] has recently experienced panic attack symptoms including rapid heart beat, trembling or shaking, shortness of breath, nausea, and lightheadedness. These symptoms have occurred during her exposure to crowded environments such as the mall or on trains. Other times that have triggered these symptoms have included interactions with Temecula USD representatives, both at the Winston School and more recently at her home. She has also experienced unexpected symptoms not associated with known situational triggers. I believe a diagnosis of Panic Disorder is appropriate at this time and, as a result, it would be difficult for [Student] to thrive academically at an institution as large as Chaparral High School. 142. Dr. Evelyn has extensive experience evaluating children with mental health needs, including experience working with adolescents with depression, anxiety, self-harm behaviors, and panic disorders. She has evaluated youths who were prevented from going to school as a result of their anxiety. She explained that a panic disorder can be disabling because the individual will worry and not get anything done. home because of her emotional issues, and Student was only able to go to Dr. Evelyn’s office because Mr. Moore, her mother, her advocate, and her sister convinced her to go. 144. After interviewing Student, Dr. Evelyn did not believe that Student’s failure to attend school was due to a panic disorder. Instead, she believed that Student did not want to attend any school but Winston. In Dr. Evelyn’s opinion, Student’s mental health issue seemed more like an adjustment disorder than a panic disorder. Student had some symptoms of anxiety and felt claustrophobic, but she could function and go to school – just not at any other school besides Winston. 145. The parties dispute what happened during Dr. Evelyn’s interview with respect to evidence of Student cutting herself. Student’s mother testified that she tried to show Dr. Evelyn where Student had been cutting, but Dr. Evelyn said she did not need to see it. 146. Dr. Evelyn denied that occurred. She testified that she asked to see Student’s arms, and Student pointed to two areas, but Dr. Evelyn did not see any evidence of scarring in those two areas. At that point Dr. Evelyn said she did not need to see anything else. 147. Dr. Evelyn’s report concluded that Student did not appear to have significant emotional/behavioral problems that would interfere with her ability to benefit from the District’s proposed public high school placement, and did not recommend any mental health treatment for Student. The report concluded that Student’s “current emotional difficulties appear to stem from her disappointment over the school district’s legal mandate to place students in the least restrictive setting and it is manifested by her recent refusal to attend school.” The report also concluded that the District’s proposed transition plan was appropriate and would support Student in the transition to the public school. 148. The IEP team discussed attempts to help Student attend school. They decided, as a transition service, to send Ms. Kubes to Student’s home once a week for four weeks to try to build a rapport with Student. Ms. Kubes would instruct Student in school work during those sessions, but the purpose was not to give home instruction. Instead the purpose was to give Student an individual with whom she could feel comfortable, to help ease her transition to the public school. In order to accommodate Student’s anxiety, Ms. Kubes would meet with Student at a public business establishment near Student’s home (Starbucks), instead of Student’s home. The IEP also continued to offer the transition services from the August 2011 IEP, including the counseling and mobility pass. 149. Student’s mother disagreed that the District’s February 2012 addendum IEP was appropriate for Student, but she signed her consent to allow the District to try it on February 21, 2012. On the same day, Student’s mother consented to an assessment plan for Dr. Perlman’s IEE and to the proposed assessments for vision therapy and CAPD. Student had ED at that time. Student was starting to look more complex, but the county assessment found her to be a pupil with SLD who was refusing to go to school. Dr. Tibbetts liked the fact that the new transition plan got Student out of her house to a neutral location to meet with Ms. Kubes while the team waited for new assessment information. 151. After Student’s mother agreed to the IEP, Ms. Kubes met with Student at Starbucks coffee shop on four occasions to try to build a rapport with Student. During those meetings Ms. Kubes provided instruction to Student in the area of United States history. Ms. Kubes had suggested just working on one subject so the District did not overwhelm Student. Student was angry at the District during the first session because she had to leave Winston to return to public school. After she expressed her anger to Ms. Kubes, they were able to work together. Student worked with Ms. Kubes every time they met, and Ms. Kubes believed that she established a good relationship with Student during that time. However, Student still failed to attend school. 152. There were delays in completing Ms. French’s social/emotional assessment because of the need to schedule the dates with both Student’s mother and Mr. Moore, in order for the testing to take place in Mr. Moore’s office. Ms. French ultimately completed her assessment and drafted a report dated April 16, 2012. 153. Ms. French’s assessment consisted of observation and interview of Student (during testing), interview of Student’s special education teacher, administration of behavior rating scales, and a review of records, including review of past school assessments, Dr. Gray’s report and Dr. Evelyn’s report. The rating scales included the Piers-Harris Children’s Self-Concept Scale, Second Edition, the Reynolds Adolescent Depression Scale, Second Edition, the Scale for Assessing Emotional Disturbance, Second Edition, and the BASC. 154. Ms. French conducted her testing of Student in a conference room outside of Mr. Moore’s office. Mr. Moore was present during the testing. Student’s scores on the various rating scales changed from the average range in the May 2011 assessment to show anxiety and depression in the April 2012 assessment. Student responded in the clinically significant range regarding self-injurious behaviors. Student’s mother and Ms. Kubes both responded to their rating scales with answers that indicated a high probability of ED. When Ms. French sought input from Mr. Moore, he stated that he did not know Student that well. 155. Ms. French determined that Student met the eligibility criteria for a child with ED in two respects: 1) she had a general pervasive mood of unhappiness or depression; and 2) she had a tendency to develop physical symptoms or fears associated with personal or school problems. Ms. French believed that Student had grown depressed over the months since the 2011 assessment because Student had withdrawn and sequestered herself in her home. In Ms. French’s opinion, Student had developed emotional issues not apparent in May 2011. 156. Student’s IEP team met again on April 16, 2012, to review the new assessment data and consider Student’s placement in light of that data. The District team members recommended that Student’s eligibility for special education be changed to ED with a secondary eligibility category of SLD. The team also drafted additional IEP goals to address Student’s mental health needs. 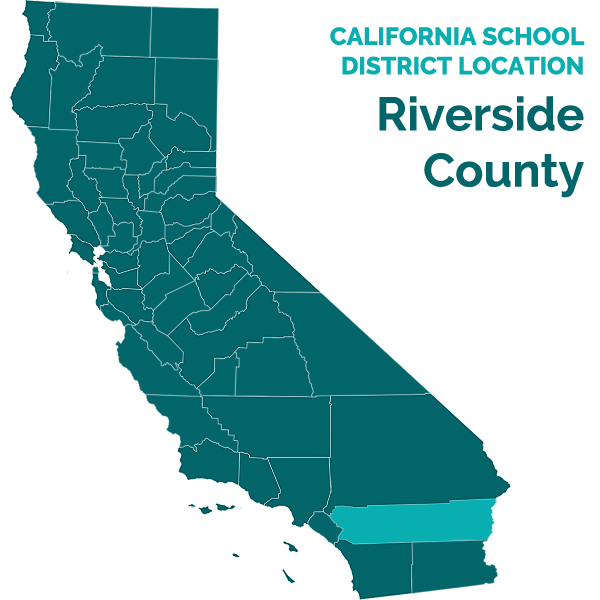 Because of Student’s anxiety and other emotional issues, the District proposed placement for Student at a school referred to as Oak Grove Murrieta (Oak Grove). 157. Oak Grove is an NPS which specializes in educating pupils with ED. The Oak Grove program has a strong therapeutic component. During the hearing, Michelle Sebastian, an education specialist/administrator from Oak Grove, testified that Student’s proposed classes at Oak Grove contained approximately 11 to 12 pupils. There was a teacher and two support staff in each class. One of the staff members was a behavior specialist or counselor and the other was an educational assistant. According to Ms. Sebastian, Oak Grove’s population of ED pupils consists of approximately 60 percent with acting-out behaviors and 40 percent with acting-in behaviors (which are behaviors directed at the pupil, such as selfinjurious, cutting behaviors). There are licensed therapists on the Oak Grove staff. If a pupil needs to see a licensed therapist for any reason, the pupil can do so. Oak Grove also offers an extended day program after school. On three days a week, the program is led by a licensed therapist who runs a social counseling group. The other two days can be used for homework, study skills or social skills. All pupils who attend Oak Grove are required to attend a minimum of 60 minutes per week of therapy. 158. The District’s proposed April 2012 IEP called for Student to receive specialized academic instruction for 314 minutes a day, with post-secondary transition services (such as college awareness and career awareness classes). The supplementary aids and services in the proposed IEP included: visual aids to support instruction, a mobility pass to enable Student to speak to a counselor or trusted staff member, access to assistive technology for writing assignments, and repeated directions. 159. To help Student transition to Oak Grove, the IEP called for Student to receive a 50-minute therapy session to be “provided off campus at a mutually agreed upon place and time provided by an Oak Grove therapist.” The IEP also contained “[s]ocial/emotional goals to determine progress” and called for individual therapy one time per week for 50 minutes per session as well as family therapy every other week for 50 minutes minimum for the first three months. counseling, Ms. Smith did not believe Winston offered the same therapeutic component to the program. 161. Ms. French also testified that Oak Grove was an appropriate placement for Student at that time because of the significant therapeutic component of the Oak Grove program and the small class size. In her opinion, the transition plan to have Student meet with a counselor at a neutral location could be successful because Student had been able to leave her house to meet with Ms. Kubes at Starbucks in the past. 162. Ms. Kubes also believed that Student needed the small group, therapeutic environment that Oak Grove could provide. Winston did not have the same therapeutic environment. 163. Ms. Sebastian had never met or assessed Student, but based on what she heard at the April IEP meeting, she felt Oak Grove could meet Student’s needs. She testified that Student’s IEP goals were similar to those of pupils at Oak Grove and Student’s reported “acting-in” behaviors were similar to many of Oak Grove’s pupils. 164. Amil Alzubaidi, a licensed marriage and family therapist who serves as the Coordinator of Behavioral Health for the District, attended Student’s April 2012 IEP meeting. He agreed that Oak Grove could meet Student’s needs because of its strong therapeutic environment. He believed it could help Student develop the coping strategies she needed. In his opinion, by April 2012, Student’s needs had changed so it was no longer appropriate to offer her a placement at the public high school. Student needed immediate access to a counselor, which she could get at Oak Grove, but not at Winston. He also believed the transition plan was appropriate. 165. Dr. Tibbetts also opined that Oak Grove was an appropriate placement at that point in time. Dr, Tibbetts was familiar with the program at Oak Grove and had placed pupils at Oak Grove in the past. He visited Oak Grove in October 2012, shortly before the hearing. He explained that Student had been found eligible under the ED category and the District now understood that her unwillingness to leave home was part of an underlying ED. It was very important at that point to offer a sheltered placement to address her emotional as well as academic needs. In his opinion, Oak Grove had many aspects that made it appropriate – it was a small campus, has small class sizes, three adults in each class (including a behavioral aide or counselor) and therapy was embedded in the program. The school had a credit recovery program, so Student could make up the school credit she lost. 166. Dr. Tibbetts also felt that the transition plan was appropriate since it gave Student a chance to meet with and become familiar with Oak Grove staff. Since Student had been able to meet Ms. Kubes at a neutral location, the District could reasonably anticipate that she would meet with the Oak Grove staff at a neutral location. He believed that the staff at Oak Grove was trained to address anxiety and the types of symptoms that Student exhibited. He felt that Student could be taught coping skills to address her anxiety. 167. Dr. Tibbetts was familiar with Winston and did not believe Winston could properly serve her needs, given what the IEP team knew at that point in time. When Student had attended Winston in the past, her emotional needs had not been as severe as those she exhibited later. The distance from Student’s home to Winston was another factor that made it inappropriate. 168. Student’s witnesses, on the other hand, did not believe that Oak Grove was an appropriate placement. Student’s mother observed Oak Grove in either April or May 2012 and testified that she saw a physical fight break out between two girls in the class that Student would have attended. She also saw a lot of yelling and swearing. She said that when she described her daughter to the teacher, the teacher was surprised the District had recommended Oak Grove. Student’s mother later agreed to the Oak Grove placement (after the August 2012 IEP offer) because she thought anything would be better than nothing, not because she thought it was appropriate. 169. During the hearing, Dr. Perlman also took issue with the proposed Oak Grove placement. (Dr. Perlman’s specific objections to Oak Grove will be discussed in the Factual Findings regarding his IEE below.) In his opinion, Student’s IEP team should have recommended a placement at Winston. Dr. Perlman’s IEE was not conducted until after the April 2012 IEP meeting, so the District did not have the benefit of his findings at the time of the meeting. As will be discussed below, Dr. Perlman’s findings supported the District’s decision to change Student’s eligibility category to ED. Although he disagreed with Oak Grove as a placement, his findings regarding Student’s anxiety and panic disorder supported the District’s decision to offer a small, therapeutic NPS placement for Student. 170. Dr. Perlman began his IEE assessment of Student in May 2012. On August 12, 2012, he sent a copy of his IEE report to the District along with comments on the April 2012 proposed goals. Dr. Perlman conducted an extremely detailed review of all of Student’s prior testing based on records provided to him by Student’s mother. Dr. Perlman interviewed Mr. Kozlowski, Student and Student’s mother. He also conducted academic, cognitive, and social-emotional testing. At the time of Dr. Perlman’s testing, Student was 17 years and nine months old, and had not attended school for approximately a year. Dr. Perlman contacted Mr. Moore to confirm the diagnoses in Mr. Moore’s letter, but did not interview him. Dr. Perlman made no attempt to speak with Student’s middle school teachers, but relied solely on the records and information about middle school provided by Student and her mother. 172. Dr. Perlman’s testimony at hearing supported his report. He felt very strongly, based on his interview of Student, that Student genuinely suffered from anxiety and panic attacks. He believed that her problems were chronic, not a reaction to an immediate stressor. He believed that she was likely to internalize depression, rather than act out, which is why she resorted to cutting or withdrawal. 173. During his testimony, he also acknowledged that Student’s failure to attend school by the time of his May 2012 IEE involved other factors besides just anxiety and panic disorder. After being out of school for a year and a half, there could be “secondary gain” for Student that was motivating her to stay home. He did not specifically assess that secondary gain, but he acknowledged it existed. By the time of the hearing, he could not rule out that there was a volitional component to Student’s failure to attend school, particularly given the length of time Student had been in control and out of school. 174. During the hearing, the District attempted to introduce evidence that Student’s anxiety and panic disorder were not as severe as Student’s mother and Dr. Perlman claimed they were. For example, the District brought in evidence that Student attended a crowded arts festival at Winston in 2012 at a time when she was supposedly afraid to leave her house to go to crowded places such as the mall. District witnesses such as Mr. Alzubaidi testified that the reason Student failed to attend Oak Grove (after Student’s mother agreed to that placement in approximately September 2012) was, at least in part, because of lack of “buy in” from Student’s mother. 175. While Student is clearly a complex young woman whose failure to go to school was influenced by many factors, Dr. Perlman’s opinion that she suffered from anxiety and panic disorder was persuasive. Even the District’s expert Dr. Tibbetts never questioned Dr. Perlman’s findings in this regard, and Coral French found Student eligible under ED. Indeed, Student’s serious emotional issues were the very thing that made the District’s offer of a small, therapeutic school such as Oak Grove necessary for Student. 177. In Dr. Perlman’s opinion, Winston, on the other hand, worked with children who had ED issues of the acting-in type, and provided the “social milieu” and “development of extra-curricular competencies” to assist with Student’s “distorted self perceptions.” His report noted that Student “may be more emotionally compromised now than when she first enrolled in the Winston School three years ago.” However he believed that her continuing contact with friends from Winston and the fact that she had engaged in recent social activities at Winston, such as attending a softball game in May 2012 and the school prom in June 2012 were positive factors regarding Winston. He also noted that “the odds of familial buy-in for the Winston School are infinitely greater than they are for Oak Grove.” During the hearing, he explained that Student tended to be rigid in the way she thinks and was not open to rethinking her position in light of new information. He explained that this was why it was so difficult to get her to change her position about transitioning. At the time of the hearing, he believed Student would refuse any placement the District recommended. 179. In approximately August 2012, Ms. Kubes conducted assessments of Student related to mathematics (which Dr. Perlman had not assessed in his IEE) and post-secondary transition planning. Student still did not want District representatives in her home, and Ms. Kubes felt she could not do a proper assessment at Starbucks, so Student’s mother suggested the Murrieta Library. The assessment was ultimately done there. 180. At some point in August 2012, Student’s mother decided to accept the April IEP offer, but felt she could not do so because the proposed goals expired in August 2012, one year after the initial August 2011 IEP offer. There was correspondence between the parties, but no signed IEP at that time. 12 Because the District filed its complaint seeking to uphold its August 24, 2012 IEP offer, the District has the burden to show that offer was appropriate both procedurally and substantively. However, the parties, through stipulation, limited the issues in the case to those portions of that IEP which are disputed by Student. For example, Student stipulated that there were no issues regarding whether the District had the necessary individuals in attendance at the IEP meeting. Those stipulations and the issues still in dispute will be discussed in the Legal Conclusions below. Factual Findings regarding the August 2012 IEP will be made only as necessary to address those portions of the IEP in dispute. 181. Student’s IEP team met again on August 24, 2012. 12 The team had previously reviewed Dr. Perlman’s report at the August 13, 2012 IEP meeting. Student’s mother attended the meeting. Student’s attorney and Dr. Perlman participated by telephone. Michele Sebastian from Oak Grove also attended the meeting. 182. The August 24, 2012 IEP contained present levels of performance based, in part, on Student’s past assessments and past performance at Winston. Those present levels also included updated information from Dr. Perlman’s assessment and the District’s assessments. The present levels clearly delineated which portions of the information were derived from the different sources. Student’s mother was given an opportunity to comment and provide input regarding the present levels of performance. In Ms. Smith’s opinion, the present levels were derived from multiple sources and were accurate at the time of the meeting. Mr. Alzubaidi was also of the opinion that they were accurate. He felt it was appropriate to include information from multiple sources, including Winston, because that was the last school Student had attended. 183. The IEP contained two proposed transition plans – an ITP related to postsecondary transition and a plan to transition Student from her home to Oak Grove. The postsecondary transition plan was based on information obtained by Mr. Kozlowski in May 2011, and the District’s transition assessment done by Ms. Kubes in August 2012. 184. The post-secondary ITP included activities related to taking college entrance exams, researching colleges, developing a resume, developing work-related social skills, obtaining a driver’s license, opening a checking account, and similar activities. The IEP also contained transition goals and services related to those activities. Ms. Kubes ran the ITP class at the District high school and had assessed Student in that area, so she was familiar with Student’s needs in that area. She believed her assessment was sufficient to develop the ITP. During the hearing, she described in detail how each of the transition services in the IEP would help Student. 185. The IEP team also discussed goals for Student. According to stipulation by the parties during the hearing, the goals Student disputes are goals one, three, four, six, twelve, fourteen, fifteen and sixteen. The disputed goals related to math (solving division problems and fractions), reading comprehension, reading fluency, test taking strategies, handling strong emotions related to anxiety and depression, improved self-esteem, and positive self-reflection. 186. Student’s mother and her counsel were given an opportunity to participate in determining the baselines and the goals. Dr. Perlman also provided input by telephone. The District made changes to the goals during the meeting based on their input. explained that Dr. Perlman had assisted with drafting goal 16. He believed there was sufficient information in the baselines to measure progress on the goals. 188. The IEP called for Student to participate in statewide testing with testing accommodations including things such as extra time, a small group setting, and supervised breaks within a section of the test. 190. The August 2012 IEP proposed placement at Oak Grove, with specialized academic instruction for 314 minutes per day at the NPS, including a therapeutic component provided by a licensed therapist. The IEP also called for extended day services at Oak Grove for 90 minutes a day, as well as college awareness, career awareness and similar transition classes to be held at Oak Grove. The IEP provided for individual therapy sessions two times per week at 30 minutes per session and one family therapy session per week at 40 minutes per session, in which Student’s mother could participate via telephone or in person. There would also be consideration of group therapy once Student acclimated to the program. The District offered to transport Student and her mother to the family therapy. The IEP offered extended school year services during the summer of a similar type and amount, and curb-tocurb transportation for Student to and from school. Transition plan – Oak Grove therapist will review [Student’s] records and IEP. 5 hours of therapy will be provided to work with [Student], Special education teacher, and parent to assist with development of a positive relationship between [Student] and Oak Grove. included within the 5 hours. –Family therapy session with Oak Grove Therapist for 40 minutes. 192. There was a discussion about placement during the meeting. The parties discussed the Arch Academy (which Dr. Perlman had recommended in his report), the possibility of a comprehensive public high school, Winston, and Oak Grove. Student’s mother, Dr. Perlman, and the District staff members all provided input into that discussion. The team agreed that a comprehensive public high school campus would not be appropriate at that time due to Student’s emotional needs. 193. Dr. Perlman and Student’s mother both stated that they preferred the Winston school as a placement for Student. The District staff did not believe that Winston would be appropriate at that time because it lacked an inclusive therapeutic component. The assistant director of Oak Grove attended the meeting and told the team that Oak Grove could meet Student’s needs. She stated that Student would have opportunity for credit recovery provided by a credentialed teacher while attending Oak Grove. 194. Ms. Smith testified that the proposed IEP services and accommodations would be appropriate for Student. She felt that the IEP accommodations would help decrease Student’s anxiety. She visited Arch Academy and did not believe the independent study framework there would provide sufficient support for Student. She also testified that Student’s mother agreed during the meeting that Arch Academy would not be appropriate for Student. Ms. Smith felt that Winston would not be appropriate because it did not have the necessary therapeutic environment. In her opinion Student’s needs had changed since August 2011, and Student needed access to a therapist throughout the day. In her opinion, Oak Grove was an appropriate placement. 195. Dr. Perlman told the team he had not visited the Oak Grove Program in years. The District paid for Dr. Perlman’s time to assess Student and to participate in the two August 2012 IEP meetings, but did not offer or agree to fund his visit to Oak Grove. Dr. Perlman ultimately visited Oak Grove about a month before the hearing and was able to testify to that visit during the hearing. 196. During the hearing, Dr. Perlman opined that Oak Grove had the capability to provide psychotherapy for Student. He also agreed that a small class size would be good for Student. However, based on his past experience with Oak Grove, he believed the pupils there to be a rough crowd, unlike Student who is a clean-cut “collegiate” type individual. He said that a representative from Oak Grove told him that the population there was mostly the “acting-out” type of ED pupils rather than the “acting-in” type as Student was. He believed that Oak Grove services the “acting-out” type of ED pupils well, but it was not a proper placement for Student. 197. He also testified that, because he did not believe Oak Grove was appropriate and because Student’s mother did not believe it was appropriate, those two things combined would make it very difficult to convince Student to go there. He did not object to the District’s offer of IEP services or goals; it was the proposed placement he found problematic. However, toward the end of the hearing, he admitted that, with appropriate transition services, Student would be capable of attending Oak Grove. 198. Dr. Tibbetts, on the other hand, felt that Oak Grove was an appropriate placement based on the findings in Dr. Perlman’s report. He also believed that proposed transition plan in the August 2012 IEP was appropriate. In his opinion, it was specifically designed to meet Student’s needs and provide support for her during the transition. It would allow Student to tour the facility without any pupils present, so she would not have to worry about panic attacks in front of her peers. The special education teacher would accompany her on the tour so she could develop an alliance with the teacher. The transition also provided a significant number of therapy hours and family sessions. 199. Ms. Sebastian also opined that Oak Grove would be appropriate based on what she heard at the August 2012 meeting. She believed that Oak Grove could implement Student’s IEP goals and could serve Student’s needs. 200. Mr. Alzubaidi believed that Oak Grove was an appropriate placement and that the proposed transition plan was appropriate. He visited the Arch Academy because Dr. Perlman had mentioned it, but he did not believe the program would be appropriate for Student because it called for pupils to work at their own pace. He believed that Student’s needs were too great for Arch or Winston. 201. The District witnesses were persuasive in their testimony that the District’s August 2012 IEP offer was designed to address each of Student’s unique needs and was reasonably calculated to provide Student with educational benefit. By August 2012, it was clear to the District that Student needed a therapeutic environment to address her serious mental health issues. Oak Grove provided such an environment. Oak Grove had the staff and resources to help Student with her anxiety and panic attacks. An Oak Grove placement could help Student learn appropriate coping skills which she could take with her into the world. 202. Student and her mother may have preferred Winston, but as discussed in the Legal Conclusions below, the law does not require a school district to place a child in the parent’s preferred program. Instead the focus of a due process case is the appropriateness of the District’s proposed program. Dr. Perlman’s testimony regarding Oak Grove was important, but his opinions regarding placement were heavily influenced by familial preference. For that reason, his opinions are not as persuasive as those of Dr. Tibbetts on this issue. 203. Student’s mother did not agree that the District’s August 2012 IEP offer was appropriate, but she eventually signed it, permitting the District to implement it. The District sent the bus to Student’s house to pick up Student, but Student never got on the bus. The District tried various transition strategies such as sending an Oak Grove counselor and District staff (including Ms. Kubes) to meet with Student at Student’s home. The District offered to provide Student a tour of Oak Grove after school hours. These activities were not sufficient to convince Student to attend. 204. Ms. Kubes even went so far as to arrange for a rental car to transport Student so she would not have to ride in the bus. The District invited Student’s mother to ride in the car with Student and Ms. Kubes. No one answered the door at Student’s home on the day that Ms. Kubes arrived with the car. 205. During the hearing, two additional issues were raised – one regarding a form in the Oak Grove admission packet that required a parent to consent to physical restraint (if necessary) for a pupil. Student’s mother initially objected to that language, but later completed the admission papers without agreeing to that clause. The other involved comments made by one of the District bus drivers to Student on September 14, 2012, when she failed to board the bus. 206. Neither of these issues is significant to this case, because Student’s failure to access the District’s transition services or attend Oak Grove was not dependent on either of these things. The transition services began prior to the time that Student’s mother returned the admission papers to the District, and Student still failed to access those services. Student’s mother and Student eventually completed the admission paperwork (with comments and limitations, such as refusal to permit physical restraint) and returned those papers to the District. Student’s mother admitted during the hearing that she did not believe her daughter would attend Oak Grove even at the time they filled out the admission paperwork. The evidence did not show that the form language of the Oak Grove admission papers had any impact on Student’s attendance (or lack of attendance) there. At no time during the hearing was there any evidence that Oak Grove would deny Student attendance based on the limitations Student’s mother wrote when she filled out the application documents or her refusal to permit physical restraint. 207. Likewise, Student had already failed to attend Oak Grove before any comments were made by the bus driver. Even when Ms. Kubes arranged for a car to transport Student to Oak Grove, Student did not board that car, access the offered transition services, or attend Oak Grove. Any comments made by a bus driver, no matter how Student interpreted those comments, had no impact on Student’s attendance at Oak Grove. Student’s mother candidly admitted during her testimony that, even if the bus driver had not made any comments, Student still would not have gone to Oak Grove. 208. As of the start of the hearing on November 6, 2012, Student had never attended Oak Grove, despite numerous good-faith attempts by the District to offer Student transition services. At some point shortly before the hearing started, Student told Ms. Kubes not to visit her home any more, so Ms. Kubes stopped coming. Student told Ms. Kubes that the night before Ms. Kubes arrived, Student couldn’t sleep or eat. Student’s family was also in the process of moving from their home at that time and the kitchen table where Student usually sat when she talked to District visitors through the kitchen window was gone. Despite Student’s comments on the last visit, Ms. Kubes believed that she maintained a good relationship with Student. On the last visit, Student came out of her home to give Ms. Kubes a hug. 209. As will be discussed in the Legal Conclusions below, the District denied Student a FAPE by failing to respond in a timely fashion to Student’s mother’s request for an IEE. Normally the appropriate remedy for such a denial would be to order the District to provide an IEE at public expense. That was initially one of the remedies Student sought when Student filed OAH case number 2012020005. However, the District agreed to provide that IEE shortly after that case was filed, and the District ultimately funded Dr. Perlman’s IEE. 210. During the hearing, Student’s counsel explained that Student was no longer seeking an IEE as a remedy. Instead, Student contends that the failure to respond to the IEE request in a timely fashion denied Student a FAPE. 211. Dr. Perlman and Student’s mother felt that ordering the District to return Student to Winston would be an appropriate remedy for a denial of FAPE. In Dr. Perlman’s opinion, placement at Winston had the best chance of success as a remedy, because of Student’s successful history there. 212. However, Dr. Perlman also testified that a short return to Winston of only a few months would not be helpful to Student. Student would be anxious when her time there was ending, and it would reduce her chances of being successful anywhere besides Winston. When the bus came to take Student to the next placement, the same pattern would repeat. 213. If only a few months denial of FAPE was found, Dr. Perlman recommended psychotherapy for Student to try to ease her into a new placement. Dr. Perlman did not believe home hospital instruction would be appropriate because it would continue the isolation Student has brought on herself. He recommended hour-long sessions of therapy twice a week. Student’s mother did not believe Student would let a District counselor into her home, even if OAH ordered the District to pay for counseling. 214. Dr. Perlman testified that, with a sufficient transition program, Student could attend Oak Grove. However, at this point, to get Student into Oak Grove, she would need many counseling sessions at home. He acknowledged that Student might not be motivated to get better during therapy if she knows she is going to be sent to a place she does not want. He alternatively mentioned that, because Student is now 18 years old, she could go directly to a community college program. 215. A factor complicating any remedy in this case is Student’s current residence. According to documentation submitted by the parties after the hearing ended, Student has now moved her residence outside of District jurisdiction, so the District is no longer obligated to provide her with a FAPE. Did the District Fail to Comply with State and Federal Special Education Law When it Failed to Provide Student with an IEE After Her Oral Request for an IEE in August 2011, or Her Written Request on September 19, 2011, or Failed to File a Request for a Due Process Hearing to Prove its Assessment Was Appropriate? 9. The law does not specify what constitutes unnecessary delay. Cases have indicated that unnecessary delay is determined by the particular facts of the case. (J.P. v. Ripon Unified School District (E.D.Cal. 2009) 2009 WL 1034993.) In Pajaro Valley Unified School District v. J.S. (N.D. Cal. 2006) 2006 WL 3734289 (Pajaro), for example, the court found that a 90-day delay was too long. that Student objected to the District’s triennial assessment, the District could easily determine from the language of the letter which assessment was contested. The District waited too long to respond to the request for an IEE. The time period from September 19, 2011, to February 6, 2012, is almost five months – far beyond the time limit discussed in Pajaro. The District committed a procedural violation of IDEA. 11. Under the facts of this case, that procedural violation resulted in a substantive denial of FAPE. During the time that the District delayed its response, Student’s mother and the IEP team were waiting for information. At first, the county mental health assessment was unduly delayed, and later in February 2012, the IEP team received conflicting information regarding Student’s needs. An IEE would have provided valuable information to the team during this time. 12. The District’s delay in addressing the request for an IEE significantly impeded the opportunity of Student’s mother to participate in the decision making process regarding the provision of a FAPE to Student, thereby resulting in a substantive denial of FAPE. Student’s mother needed to know whether the District would grant or deny her request for an IEE to determine how she should proceed. Eventually, she was forced to file for due process, only to have the District offer an IEE almost immediately after she filed. She should not have had to wait that long and should not have had to file for due process to get a response, particularly under the facts of this case, involving very unusual circumstances and an emotionally complex pupil who was failing to attend school. 13. In addition, the failure of the District to act sooner denied the IEP team valuable information which might have led the team to make a different offer for Student in February 2012. Instead of waiting until April 2012 to offer Oak Grove (after Coral French’s assessment), the IEP team could have offered it sooner. This was not a case where Student’s needs were well understood – by fall 2011, the IEP team needed input and Dr. Perlman’s opinion at that point would have provided important information. 14. Because Student’s needs were evolving during the long time she was out of school, it is not possible to say with certainty that Dr. Perlman’s IEE, if begun in December 2011 or January 2012, would have reached the same conclusions it did when begun in May 2012. However, his input would still have guided the February 2012 IEP team. In any event, once the District offered Oak Grove, a therapeutic NPS designed to address Student’s mental health needs, in April 2012, there were no further denial of FAPE. Even if Dr. Perlman’s IEE had been done sooner, and even if it came to the same conclusions, the District would still have been correct in offering that placement (as will be discussed in more detail below). 15. By mid-November 2011, it was clear to the IEP team that Student was not accessing the high school placement and the transition activities attempted by the District were not working. The county assessment was taking too long and the IEP team needed further input. Under those circumstances, the District should have responded to the IEE request within 60 days (by mid-November). Had the District agreed to fund the IEE in November 2011, within 60 days after the request by Student’s mother, an assessment could have been completed within another 60 days, by approximately January 15, 2012, and the February 2012 IEP team would have had Dr. Perlman’s input. Under these circumstances, it is appropriate to find that the District denied Student a FAPE from January 15, 2012, until April 16, 2012, when the offer of Oak Grove was made, a time period of approximately three months. The appropriate remedy for that three-month denial of FAPE will be discussed below. Did the District Deny Student a FAPE When it Failed to Fully and Timely Assess Student in the Spring of 2011? 17. In the instant case, Student contends that the District failed to assess Student sufficiently in the areas of social/emotional, mental health and vision processing/vision therapy. Student does not contest the actual assessments that were done or the qualifications of the assessors. Instead, Student believes that further testing should have been done. However, as set forth in Factual Findings 1 – 72 above, the District’s May 2011 triennial assessment fully assessed Student in all areas of suspected disability at the time. The District witnesses were persuasive on this issue. 18. In Student’s written closing argument, Student made much of the fact that Ms. French described the social/emotional portion of her assessment as a “screening” during her testimony. However, that appeared to be a matter of word choice, not a legal definition. Ms. French received information from Student’s teachers, administered rating scales to Student and two of Student’s teachers, reviewed prior assessments that addressed social/emotional issues, and observed Student. Her “screening” was, in fact, an assessment to determine Student’s special education needs, not a “screening…to determine appropriate instructional strategies for curriculum implementation….” (34 C.F.R. § 300.302 (2006).) Ms. French’s testimony that the social/emotional portion of her assessment was sufficient to address Student’s suspected areas of disability at the time was persuasive. 19. Although Student exhibited anxiety during the assessment at the thought of leaving Winston, there was not enough indication as of May 2011 that Student needed further assessment in social/emotional or mental health areas. At that time, she appeared to be a happy, well-adjusted pupil who did not want to leave a school that she liked. As Dr. Evelyn indicated, what high school pupil ever wants to leave a school where she is happy and has friends? However, families move all the time and high school pupils are forced to relocate. Even if the pupils are upset by the move, that does not mean they have ED. 20. Likewise, as set forth in Factual Findings 62 – 72, the District’s May 2011 assessment appropriately addressed Student’s needs related to visual processing/vision therapy. Contrary to Student’s contention, Ms. French assessed Student in the area of visual processing during the May 2011 assessment. Student’s own expert Dr. Perlman saw no need for a further vision therapy assessment based on the District’s May 2011 assessment and earlier assessments. A year later, when Dr. Huang conducted a visual processing assessment, he found no visual sensory problems. He relied on Dr. Perlman’s IEE to discuss visual perceptual issues, but even then his findings were not conclusive on the subject. His language (set forth in Factual Finding 68 above) that visual perceptual deficits were not Student’s “primary problem” but “can be a contributing factor” was hardly a statement that an earlier vision therapy assessment was required. 21. Student has the burden to show the District’s May 2011 triennial assessment was not appropriate and failed to meet that burden. There was no denial of FAPE. Did the District Deny Student a FAPE During the 2011 – 2012 School Year by: 1) Making an IEP Offer Based on Inadequate Assessment Information; 2) Failing to Provide an Appropriate Transition Plan from Student’s Nonpublic School to the High School; and 3) Failing to Offer an Appropriate Placement? 22. As stated in Factual Findings 1 – 72 and Legal Conclusions 1 – 21 above, the District’s May 2011 assessment was appropriate and comprehensive. When new information surfaced at the time of the August 2, 2011 IEP meeting, the District reacted properly by referring Student for further assessment. Student has failed to meet her burden to show that the District denied a FAPE by making the August 2011 IEP offer based on inadequate assessment information. 23. As stated in Factual Findings 117 – 125 above, the county mental health agency should have conducted its assessment sooner. (See, e.g., Ed Code, § 56043, subd. (c), requiring an assessment to be conducted and an IEP team meeting held within 60 days.) However, that county mental health assessment confirmed that the District’s August 2, 2011 IEP offer was appropriate. Any delay in providing that assessment did not mean that the District’s IEP offers were based on inadequate information – even if the assessment had been provided sooner, nothing would have changed. 24. As stated in Legal Conclusions 7 – 15 above, the District failed to respond in a timely fashion to the IEE request by Student’s mother. Had the District timely responded, the IEP team could have had additional assessment information regarding Student’s condition at the time. Instead, the District lacked adequate information until Ms. French’s report was finished and Student’s evolving mental health needs were understood. Had the IEP possessed Dr. Perlman’s report prior to the February 2012 IEP meeting, a therapeutic NPS placement such as Oak Grove might have been offered sooner. For this reason, as stated above, the District denied Student a FAPE between January 15, 2012, and April 16, 2012, based on a failure to have adequate assessment information. 26. As of August 2, 2011, as stated in Factual Findings 73 – 116 above, it was objectively reasonable for the District to offer Student a placement in a public high school with specialized academic instruction, services and accommodations. From everything the District learned during its May 2011 assessment, Student was a capable teenager who should have been able to succeed in public school, provided that she received appropriate educational support to address her learning disability. She did not require a restrictive, special education setting such as the Winston School. Student’s emotional reaction to the District’s assessments seemed to come from her desire to stay at a school she liked, not an underlying ED. 27. In August 2011, given all the assessment data and Student’s ability to progress at Winston, the District had no choice but to offer Student a placement in the public school where she would have access to typical peers. The law only permits a school district to remove a pupil from the regular education environment if “the nature or severity of the disability . . . is such that education in the regular classes with the use of supplementary aids and services cannot be achieved satisfactorily.” (20 U.S.C. § 1412(a)(5)(A); Ed. Code, § 56040.1, subd. (b); see also Sacramento City Unified School District v. Rachel H. (9th Cir. 1994) 14 F.3d 1398.) Indeed, as of August 2011, if the District had insisted that Student attend Winston instead of the public school, Student’s mother could have filed for due process on the basis that Winston was not the LRE appropriate for Student. 28. In Student’s written closing argument, Student contends that the District’s offer of Oak Grove in April 2012 showed that its August 2011 offer of the public school was inappropriate. However, that argument is not well taken. As set forth in Factual Findings 114, 155, and 173, both Dr. Perlman and Ms. French indicated that Student’s emotional state changed over the months due to her isolation at home and her long time away from school. Student’s emotional needs were not the same in August 2011 as they were later. Based on what the District knew in August 2011, the offer of the public school was objectively reasonable. By April 2012, Student’s circumstances had changed and a more restrictive placement was necessary. 29. The District’s August 2011 offer was reasonably calculated to provide Student with educational benefit in the least restrictive environment based on the assessment information and other information the District possessed at the time. Student failed to meet her burden to show the placement offer was inappropriate. There was no denial of FAPE. 30. Student also failed to meet her burden to show that the District’s proposed transition plan in the August 2011 IEP was inappropriate. As set forth in Factual Findings 79 – 87 and 106 – 114, the District staff proposed a well-crafted plan designed to address any anxiety Student might feel about going back to public school. Student was offered counseling and a pass so she could leave class any time she felt stressed. The District had a team of educators and mental health professionals ready to meet with Student on her first day of school to help ease her concerns. As set forth in Factual Findings 126 – 136, after Student failed to take the bus, the District sent people to her home to help with the transition. Those people were willing to stand outside Student’s home and talk to her through a window in an effort to help her. When that did not work, the District noticed a new IEP meeting. The District acted appropriately under these extremely unusual circumstances. There was no denial of FAPE. Did the District’s IEP Dated August 24, 2012, Offer Student a FAPE in the LRE? 31 When a District files a due process hearing request to defend the appropriateness of an IEP offer, the District has the burden to prove that offer was appropriate both procedurally and substantively. However, in order to save time at hearing, it is common practice for the parties to stipulate as to those areas of a District offer to which the student objects. The stipulation does not change the burden of proof, but it does limit the issues for hearing. 32. In the outset of the hearing in the instant case, Student stipulated to nine portions of the August 24, 2012 IEP to which Student objected. Those are: 1) the placement; 2) the transition plan; 3) parental participation in the placement determination; 4) the present levels of performance; 5) goals; 6) the post-secondary ITP; 7) the accuracy of the IEP “minutes”; 8) the failure to pay for Dr. Perlman to visit Oak Grove; and 9) the failure to ensure statewide testing. Each of these issues will be addressed in turn to see if the District met its burden of proof. 33. Student’s main dispute over the August 2012 IEP offer involved the proposed placement at Oak Grove. Student believes that Oak Grove was not an appropriate placement and that Student should have been placed at Winston instead. As set forth in Factual Findings 156 – 202, the District offered Student a placement at Oak Grove in both April 2012 and August 2012. 34. The District witnesses were consistent in their testimony that Student’s serious mental health issues in April and August 2012 required the small, therapeutic placement and services that Oak Grove could provide. Oak Grove had the staff, expertise and program designed to confront Student’s anxiety/panic and teach her coping skills. 35. Dr. Perlman’s objections to Oak Grove were based on his understanding that Oak Grove consisted mostly of ED pupils with “acting-out” behaviors. However, as set forth in Factual Finding 157, Ms. Sebastian testified that 40 percent of the pupils at Oak Grove had “acting-in” behaviors. Her testimony in that regard was persuasive – she was an administrator at the school and would be the best person to know the pupils there. 13 The IEP offer of April 2012 was not directly at issue in either party’s due process request, but it is relevant to the issue regarding the assessments, as discussed in Legal Conclusions 7 – 24 above. 37. The District witnesses were persuasive in their testimony that Oak Grove was the appropriate placement for Student as of April 2012 and August 2012. 13 The District met its burden to show that the August 2012 IEP placement offer was appropriate. 38. As set forth in Factual Findings 191 – 204, the District met its burden to prove that the transition services offered in the August 2012 IEP were appropriate at the time the offer was made. The transition plan offered many services and supports to ease Student’s anxiety about a new NPS, including therapy sessions, a visit to the campus, meetings with staff, and similar things. At the time the IEP offer was made, it was objectively reasonable to conclude that those services would enable Student to attend Oak Grove. Student’s mother had never signed the April 2012 IEP, so Student had not yet attempted to access the Oak Grove transition services as of August 2012. Although the Student had a history of failing to attend the public school, Oak Grove was not a large, public, high school campus. It was a small, private school, not part of the District. The testimony of the District witnesses regarding the appropriateness of the transition services was persuasive. 40. An IEP is required to contain a “statement of the individual’s present levels of academic achievement and functional performance.” (Ed. Code, § 56345, subd. (a)(1).) Student contends that the present levels of performance in the IEP were based on outdated reports of progress and were incorrect. Student apparently objects to the inclusion of information from Winston and older assessments in the August 2012 IEP present levels of performance. However, as set forth in Factual Finding 182, both Ms. Smith and Mr. Alzubaidi testified that it was appropriate to include this information. There was no testimony or evidence to contradict them. 42. Student contends that several goals in the August 2012 IEP lacked baselines and were not objectively measurable, including goals one, three, four, six, twelve, fourteen, fifteen and sixteen. As set forth in Factual Findings 185 – 187 above, various witnesses (including Dr. Perlman) testified regarding the appropriateness of the IEP goals. Even if some goals lacked specific percentages in their baselines, the District witnesses were clear in their testimony that the goals were appropriate and measurable. There was no testimony to contradict them. 43. At the outset of the hearing, Student stated that Student objected to the postsecondary ITP contained in the August 2012 IEP offer. However, in Student’s written closing argument, Student contends that the District’s August 2011 ITP was inappropriate. It does not appear that this was a typographical error because the discussion occurs in the portion of the brief involving the earlier IEP. Student did not plead any problem with the August 2011 post-secondary ITP in her due process request, and the issue is not properly raised at this time. However, even if it was properly raised, as set forth in Factual Findings 115 – 116 above, the ITP was appropriate and there was no denial of FAPE. 44. The District also met its burden to show that the August 2012 post-secondary ITP was appropriate. As set forth in Factual Finding 184 above, Ms. Kubes’ uncontested testimony was directly on point and was persuasive. Student’s written closing argument alleges that the post-secondary goals were not appropriate because they did not address Student’s emotional needs, such as the need to be able to leave her house. However, those needs were addressed in the IEP supports and services for Student while she was in high school. The post-secondary ITP addressed Student’s later needs – what she would need after she was able to access a school program and gain a high school diploma. 45. Student’s last three contentions are: 1) that the IEP “minutes” did not accurately reflect the information or statements made at the meeting; 2) that the District offered to have Dr. Perlman observe Oak Grove and then refused to pay for his visit; and 3) that the District failed to ensure statewide assessment. 46. Student’s written closing argument did not address the issue related to the statewide assessment, so it unclear what the basis for this objection might be. As set forth in Factual Finding 188, the August 2012 IEP called for Student to participate in statewide testing with accommodations. 47. Student’s written closing argument also makes no mention of the issues regarding the lack of funding for Dr. Perlman to visit Oak Grove or the accuracy of the IEP “minutes” so it is uncertain as to Student’s legal basis for these objections. Student has not cited any authority that IEP meeting notes (assuming that is what is meant by “minutes”) must be accurate. A parent always has an opportunity to object to their accuracy later. Student also cites to no authority that requires a school district to fund an individual who conducts an IEE to visit a proposed placement after the IEE is finished. There is no basis for finding a procedural violation with respect to either of these issues. 48. The District met its burden to show that its August 2012 IEP was reasonably calculated to provide Student with educational benefit at the time it was made and that the District complied with the law in preparing that IEP. There was no denial of FAPE. District could enforce the IEP at the present time, but that issue is now moot based on the evidence that Student no longer resides within the District. 50. As discussed above, Student proved that the District denied her a FAPE for three months between January 15, 2012, and April 16, 2012. Student seeks compensatory education based on the District’s denial of FAPE. 52. As stated above in Factual Findings 209 – 215, Student believes that a return to Winston is the appropriate remedy for a denial of FAPE. However, Dr. Perlman testified that a return to Winston for a few months would not benefit Student and might make it less likely that she would be able to attend a different placement after that. Dr. Perlman also felt that home hospital instruction would not benefit her. 53. Dr. Perlman’s testimony is persuasive on this issue. At the present time, it appears that Student’s mental health needs are the greatest stumbling block to her education. Those needs are the primary matter that must be addressed. Giving her home hospital instruction or sending her back to Winston for three months would be like placing a band-aid over a festering wound. She would simply fall back into her old patterns after those three months ended. She would not develop the coping skills she needs to overcome her anxiety and panic about non-preferred locations and activities. 54. Dr. Perlman believes that Student needs a significant amount of psychotherapy to help with her mental health issues. He recommended two times a week for one hour per session. His opinion in this regard is persuasive. It is reasonable to order the District to provide psychotherapy to Student twice a week for 12 weeks (three months), for a total of 24 sessions. Each session will be one hour long. The purpose of the therapy will be to assist Student with attending Oak Grove, a community college program, or whatever educational placement her new school district’s IEP team may recommend. Because Student no longer resides in the District, the District may provide this service through either District staff or an outside provider, at the District’s option. However, the individual providing the service must be a licensed mental health care professional such as a marriage and family therapist, school psychologist, clinical psychologist, or psychiatrist. The services may be provided in Student’s home or at another location agreeable to both Student and the mental health provider. The 24 sessions can be held on any days agreeable to the provider and Student, but they will expire after six months, as set forth in the next paragraph. 55. Student is now an adult and is not required to attend school or accept services from any school district. She may choose not to accept this psychotherapy. Therefore, it is reasonable to put a time-limit on the offered services, after which the District will no longer be obligated to offer or provide the service. Because of matters such as illness or vacations, Student may not always be available for two psychotherapy sessions per week. A six-month time limit is more than enough time to cover any absences that may occur. However, if Student should inform the District in writing at any time during that six month period that she no longer wishes to engage in the psychotherapy or if she fails to attend or participate in four sessions in a row (which were scheduled on dates and times to which she previously agreed), the District’s obligation to provide the services will cease. 1. The District’s August 24, 2012 IEP offered Student a free appropriate public education in the least restrictive environment. 2. The District shall provide Student with 24 sessions, lasting one hour each session, of psychotherapy provided by a licensed marriage and family therapist, school psychologist, clinical psychologist, or psychiatrist. The District shall make the first of those sessions available to Student within one month of the date of this Decision. The District’s obligation to provide the services will expire seven months from the date of this Decision and there will be no obligation for the District to provide or fund any of the remaining sessions after that time. Should Student (or her agent) inform the District in writing at any time during that seven-month period that she no longer wishes to engage in the psychotherapy or if she fails to attend or participate in four sessions in a row (which were scheduled on dates and times to which she or her agent previously agreed), the District’s obligation to provide the services will cease. Pursuant to California Education Code section 56507, subdivision (d), the hearing decision must indicate the extent to which each party has prevailed on each issue heard and decided. Here, Student prevailed on Student’s first issue and a portion of Student’s third issue. The District prevailed on all other issues in this case.